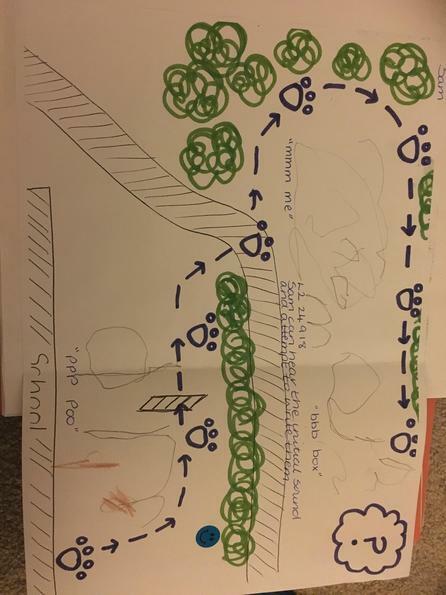 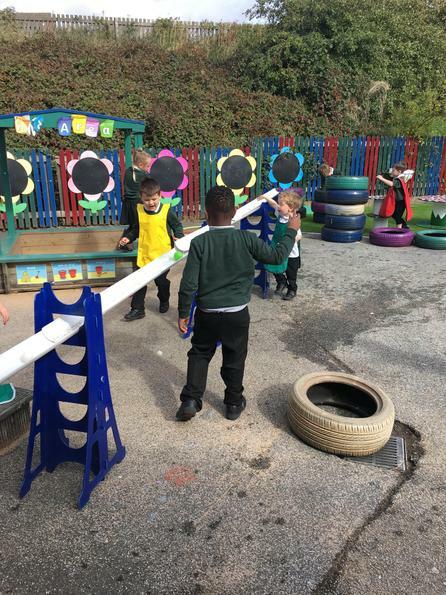 we have been using our knowledge of numbers and applying it in our play! 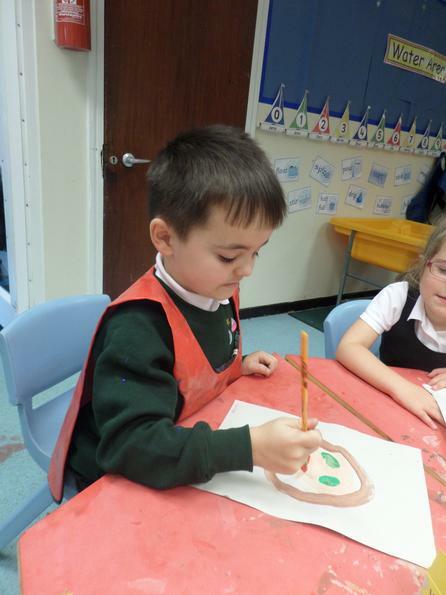 We talked about symmetry and our understandinf of things that look exactly the same. 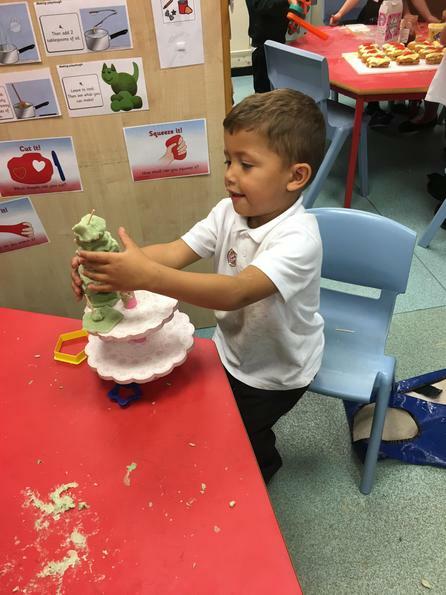 We had our own attempt at making symmetry cupcakes for our stay and play session. 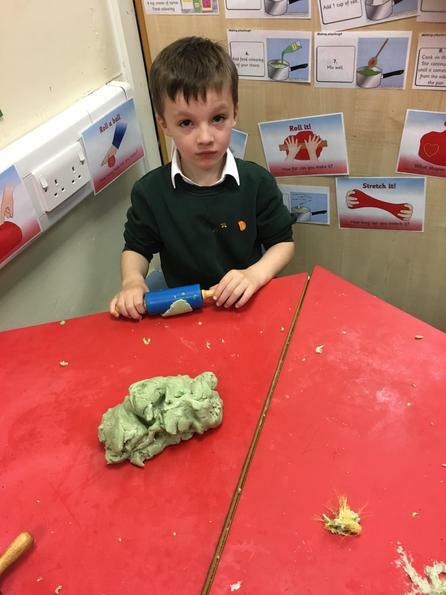 look at our amazing cupcakes, Yum! 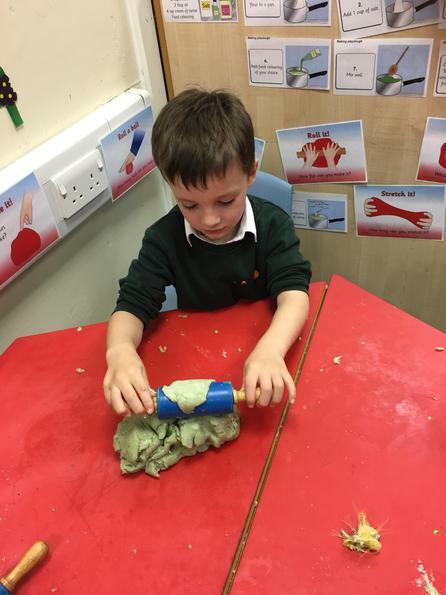 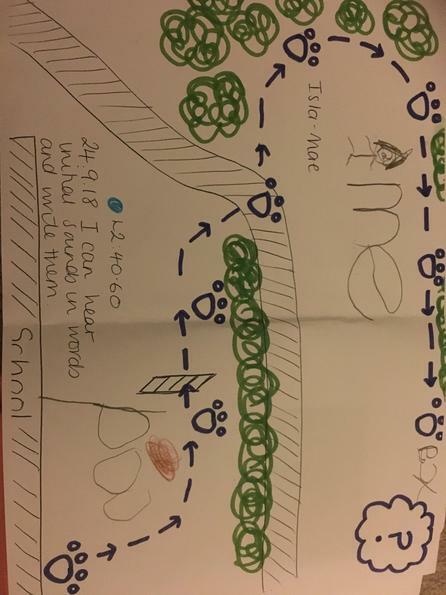 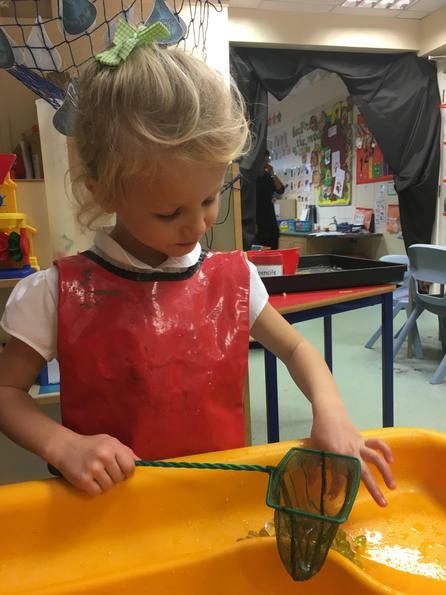 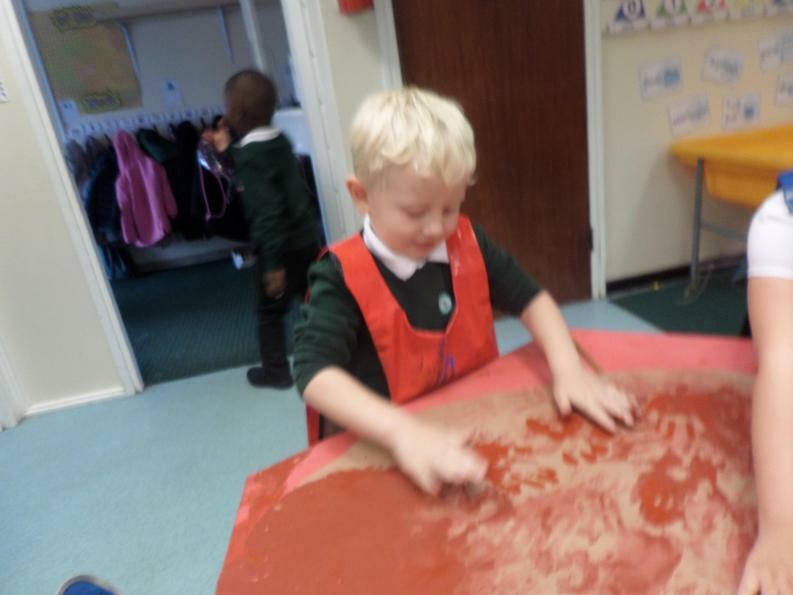 We are starting to hear all the sounds in a word. 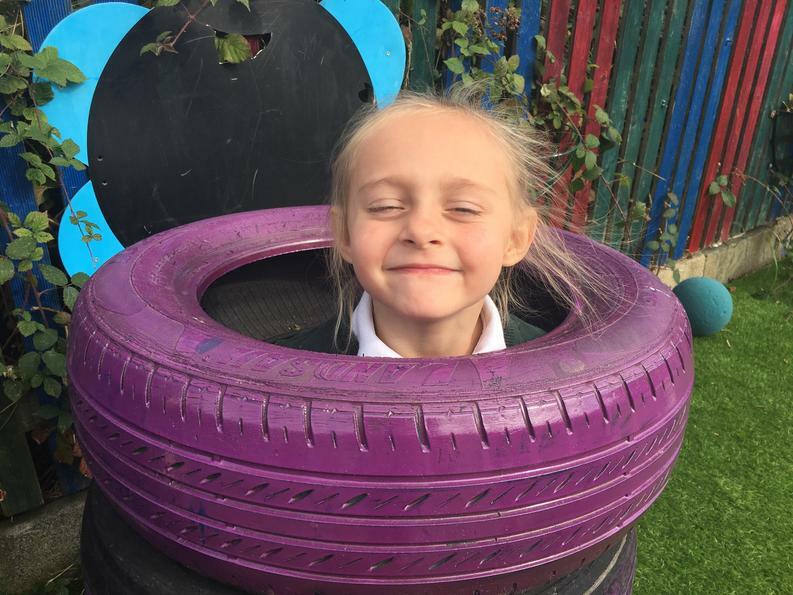 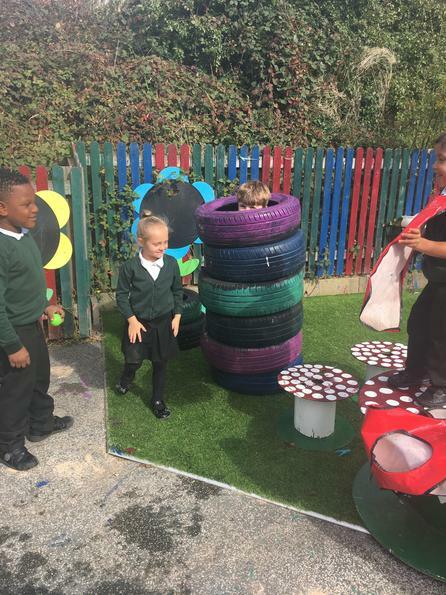 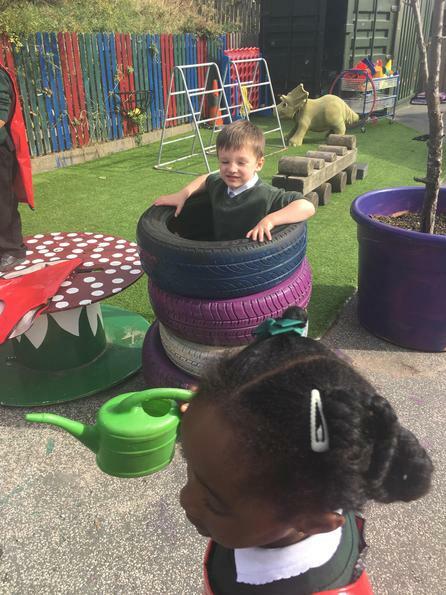 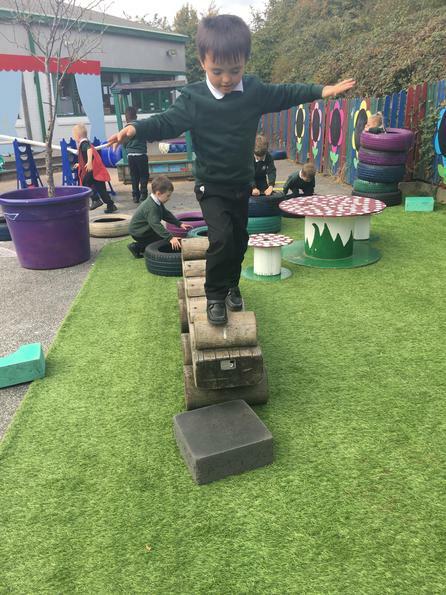 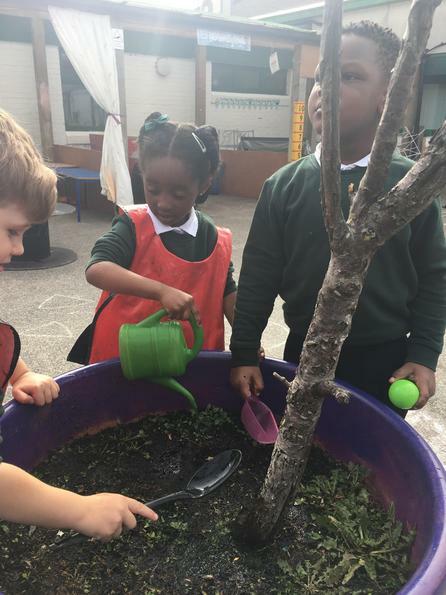 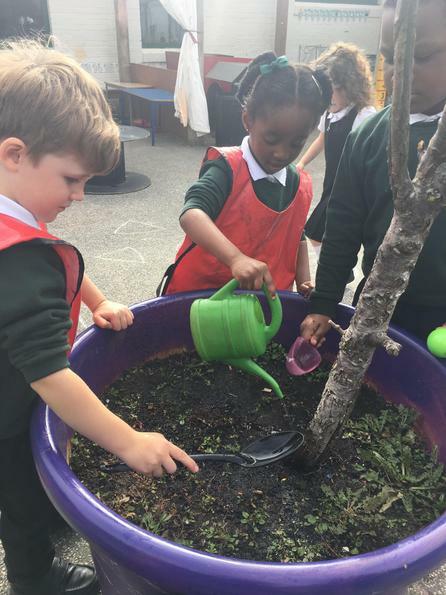 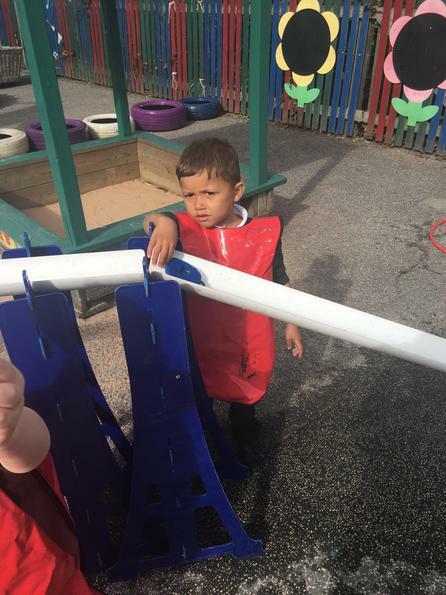 We practise in lots of fun ways! 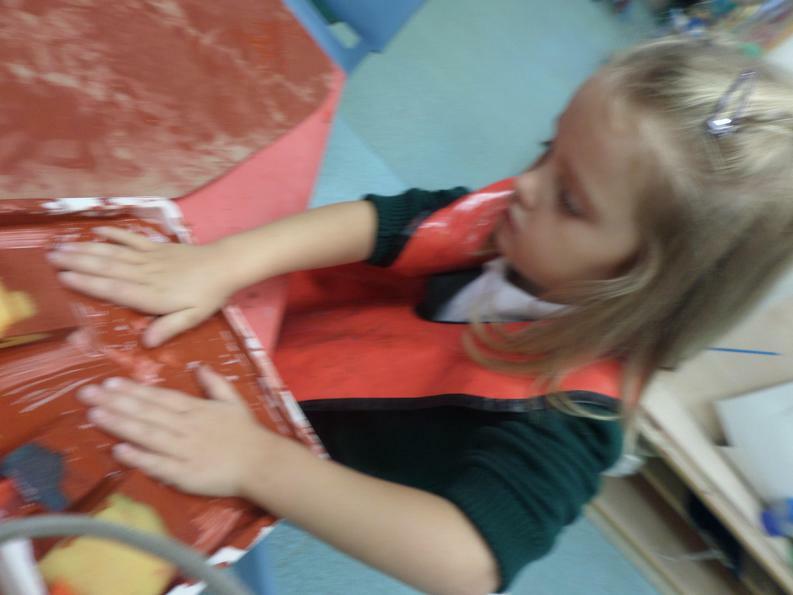 We feel confident to try! 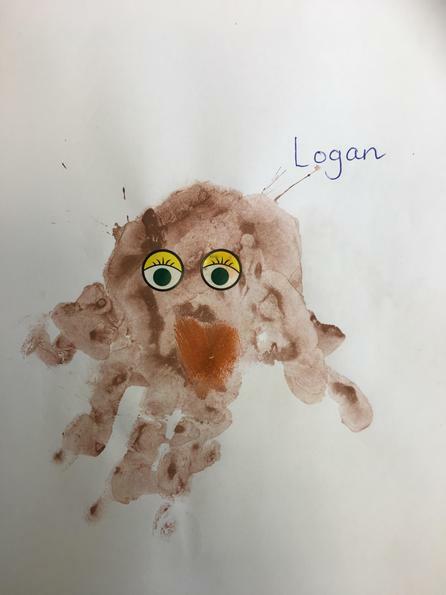 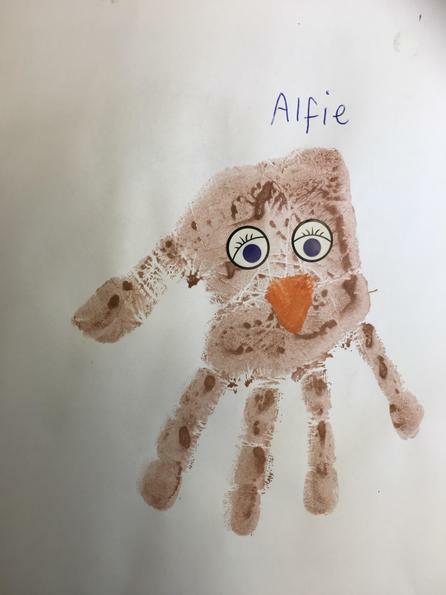 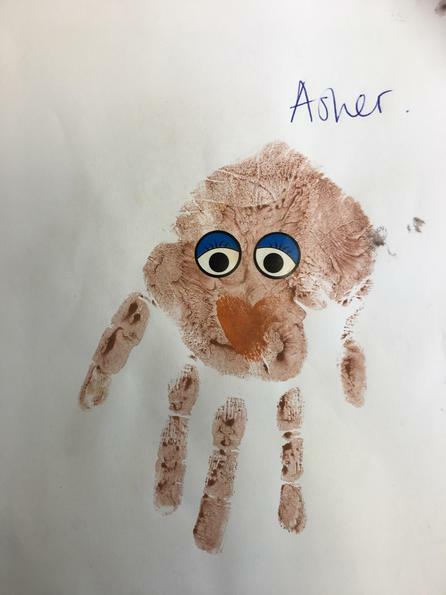 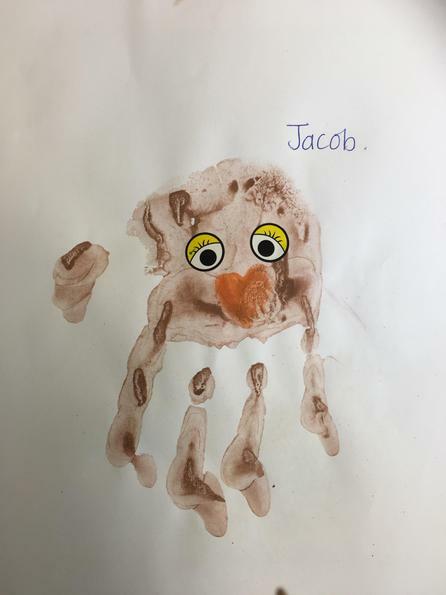 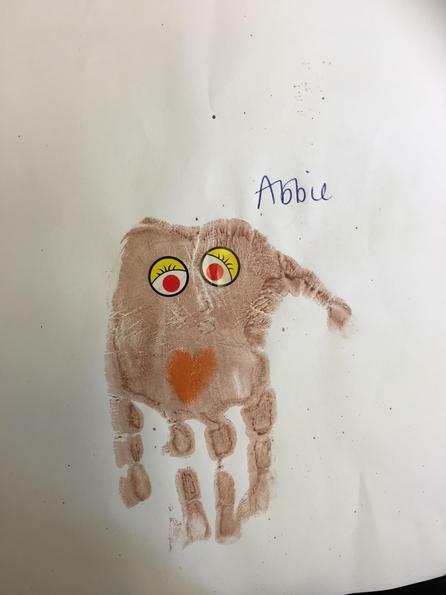 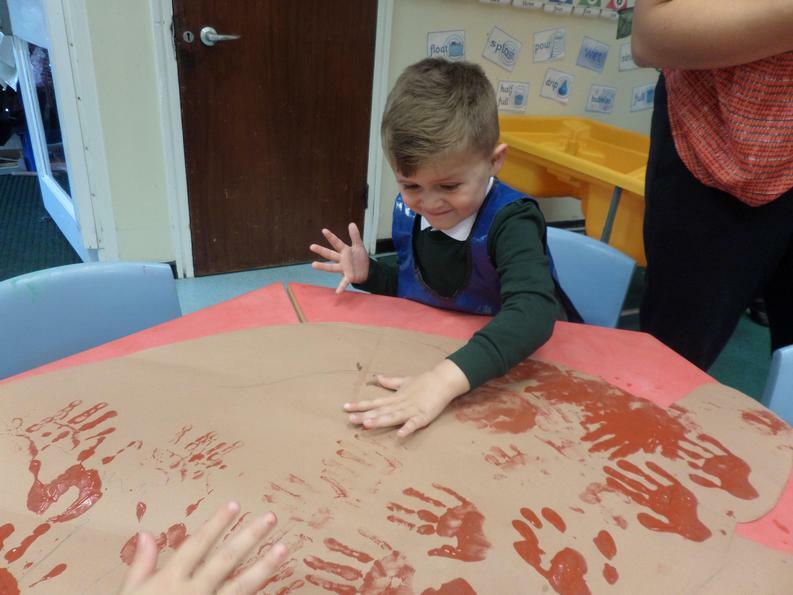 Our Owl Handprints- counting and representing 5! 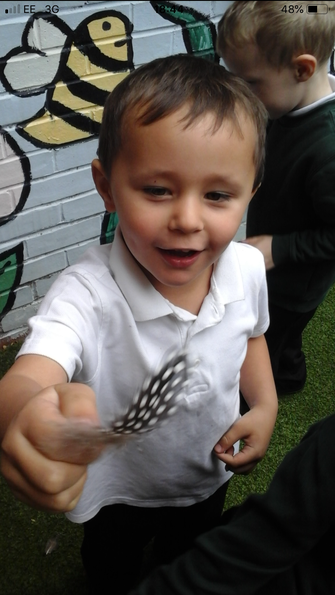 Writing a list of clues and owl fact finding. 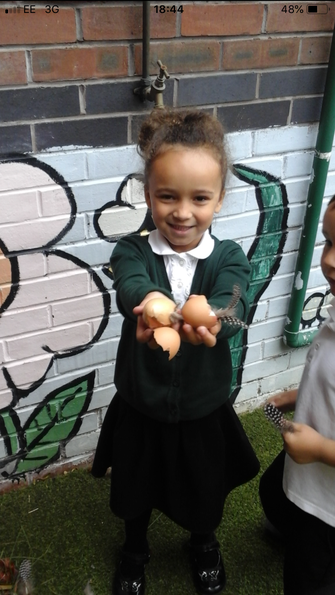 We have our snack together. 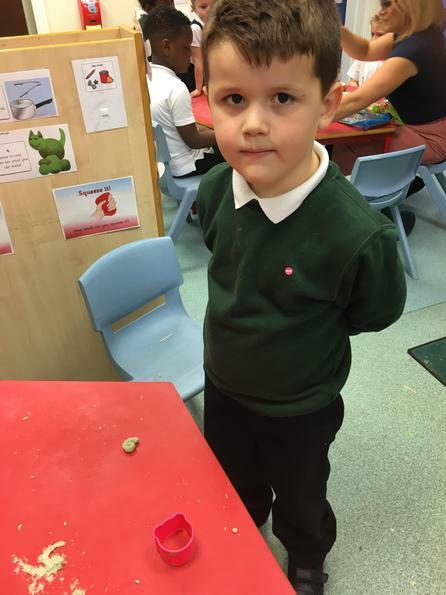 We sit smartly waiting for snack. 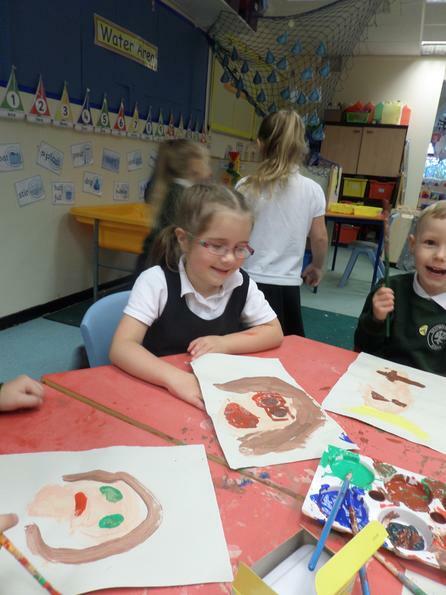 We are all friendly and kind. 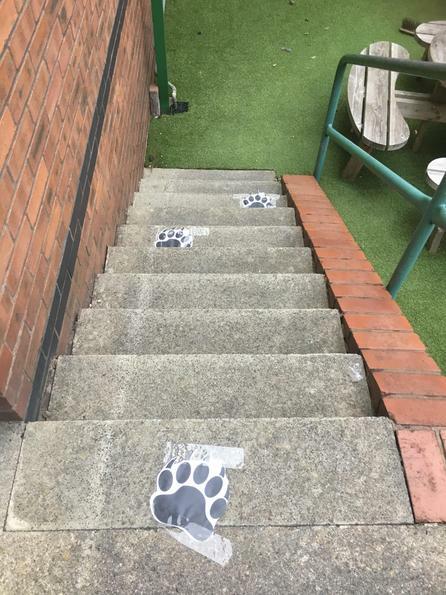 We say yes please or no thank you. 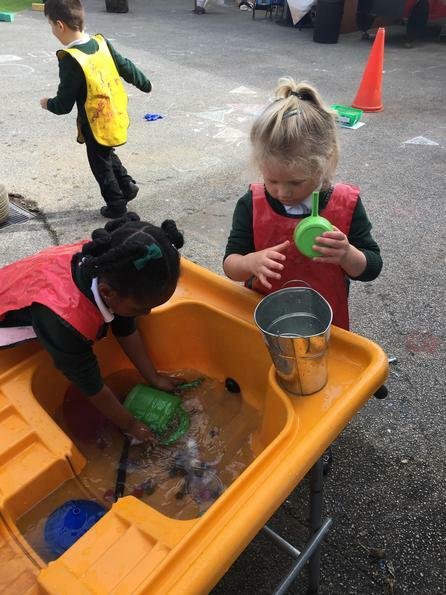 We enjoy a healthy snack every day! 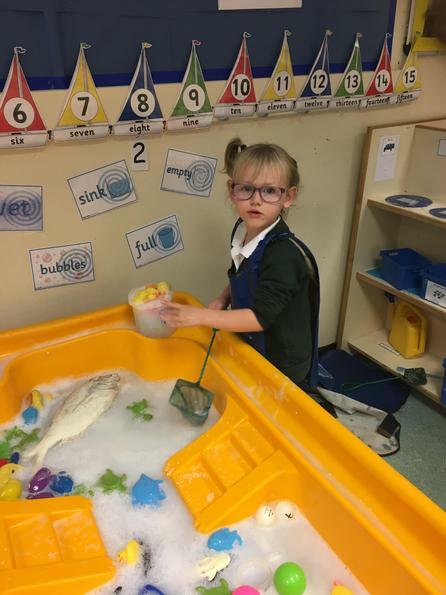 We get our own milk. 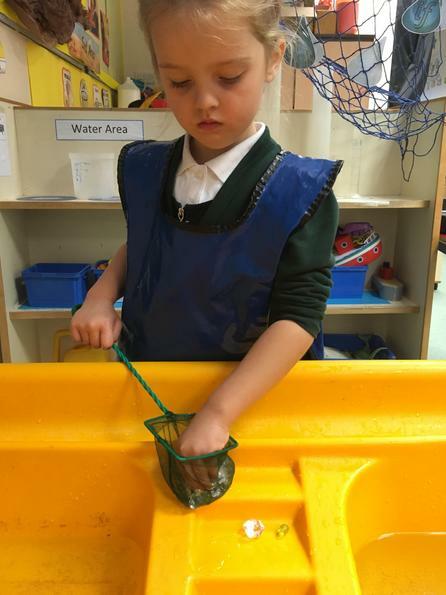 We put our name tags onto the milk. 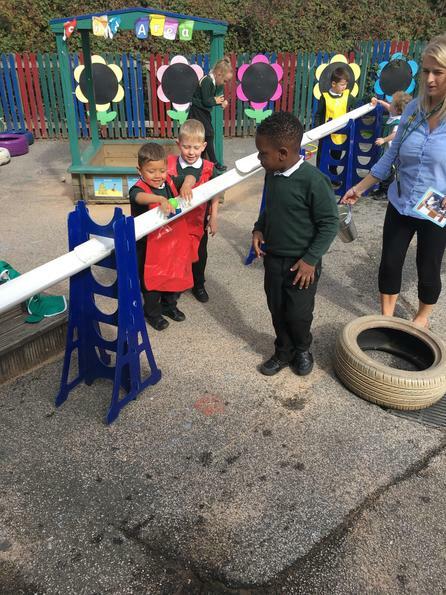 We sit and enjoy a short chat. 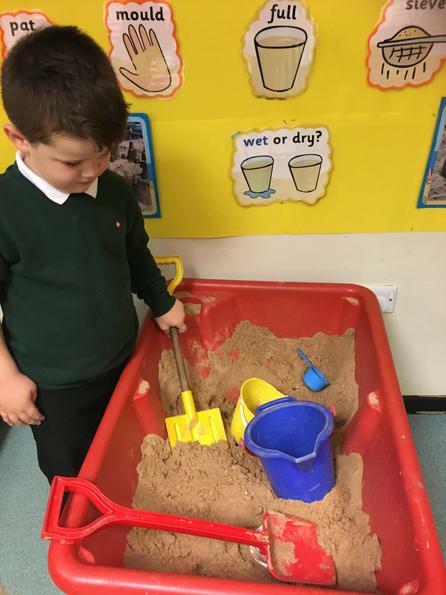 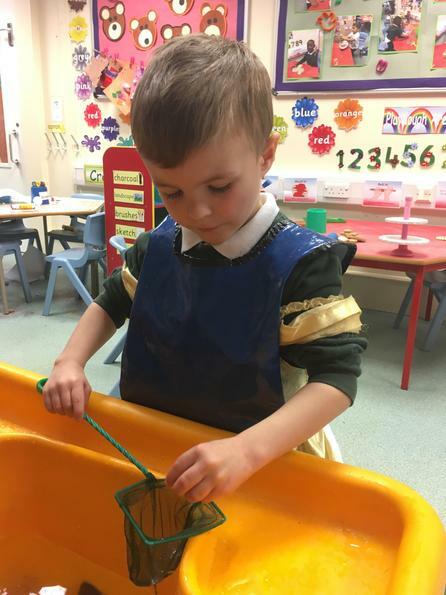 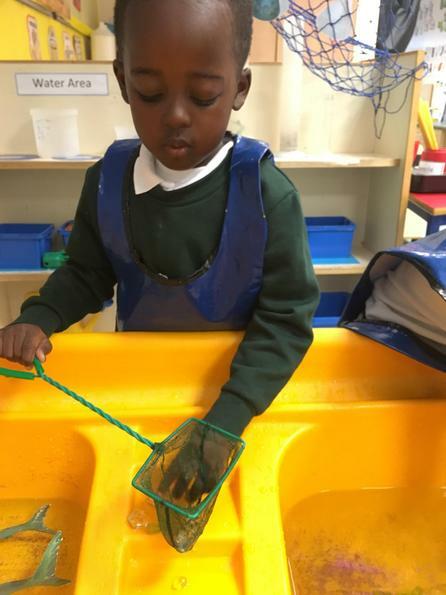 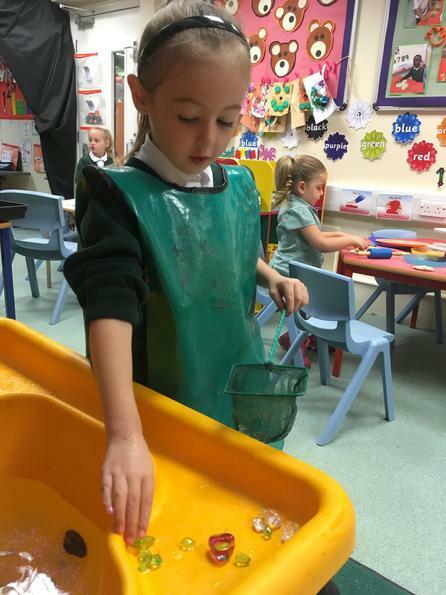 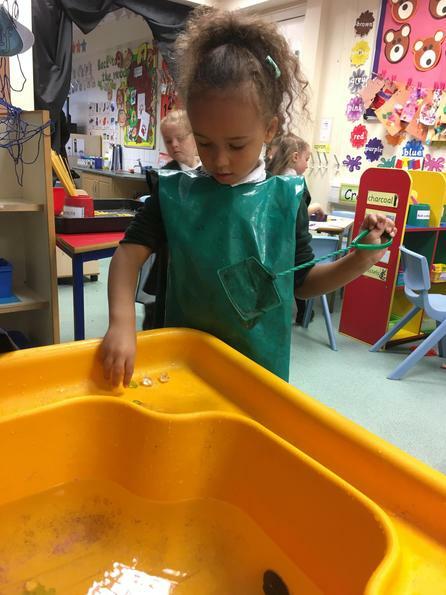 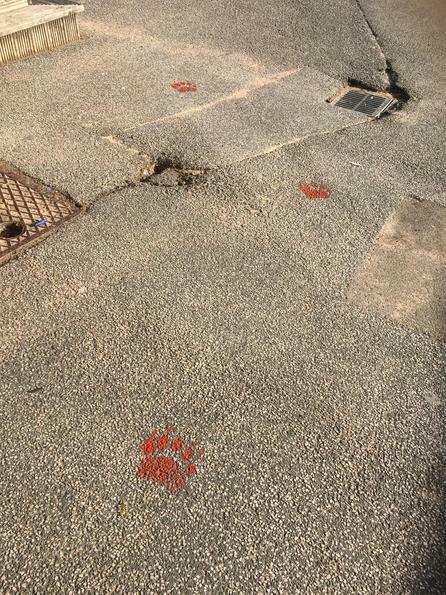 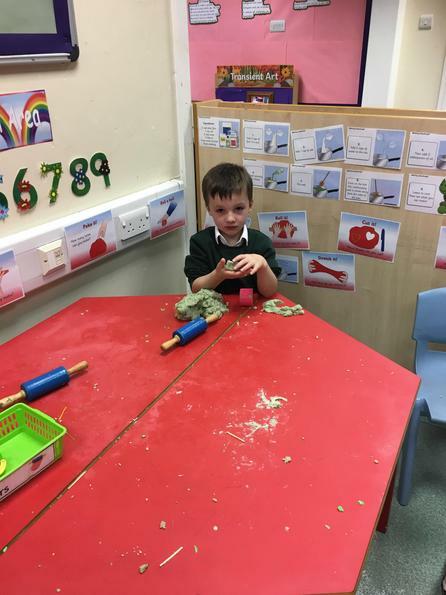 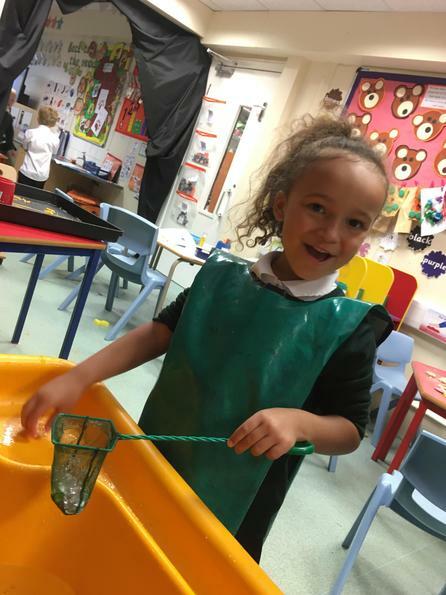 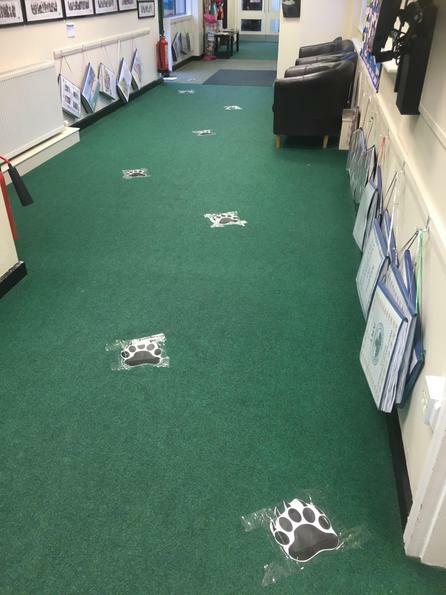 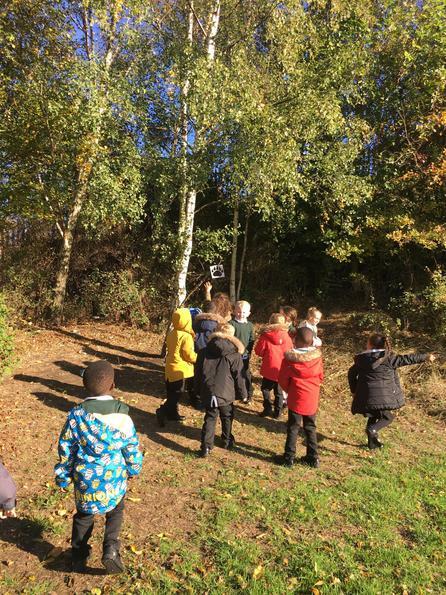 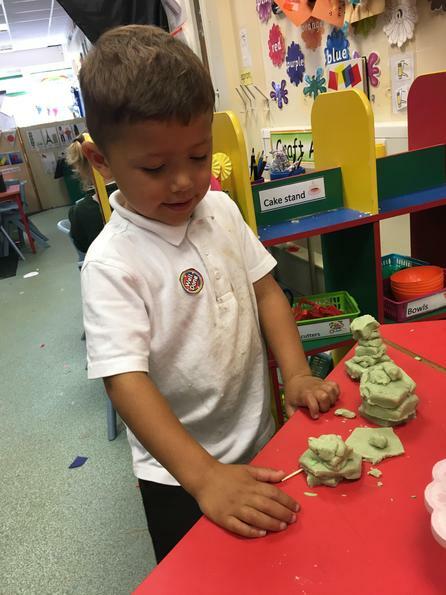 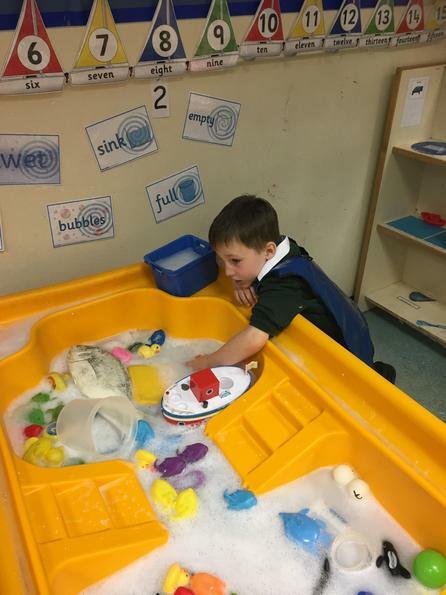 We were so excited to arrive at school and find bear footprints all over our classroom. 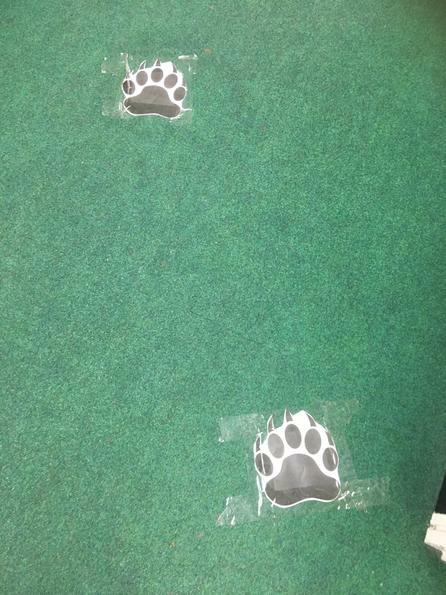 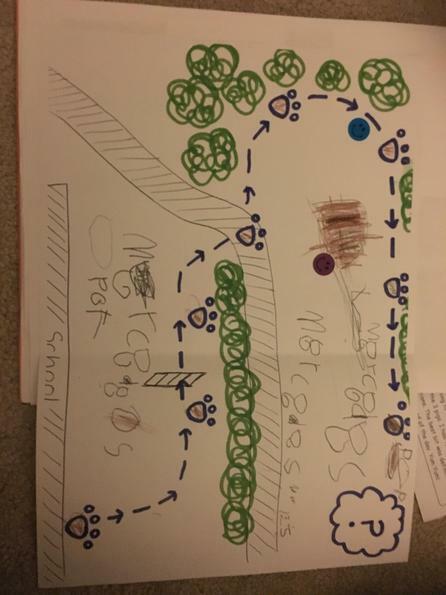 Bear left us clues around the room and we followed them to find a book. 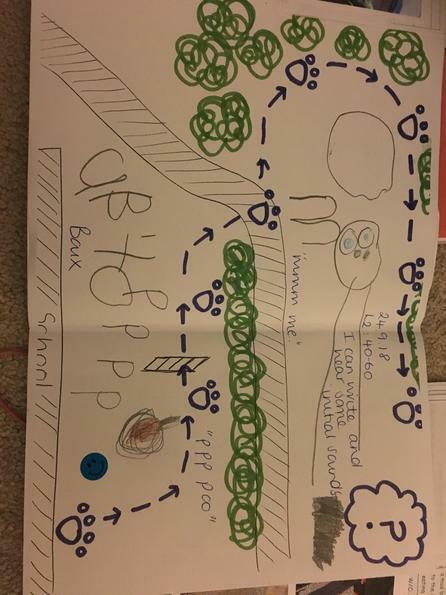 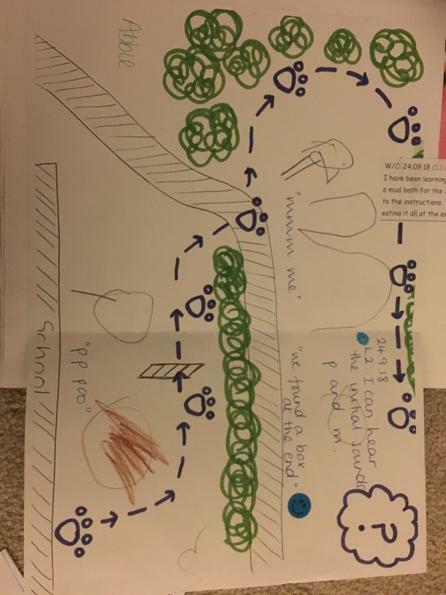 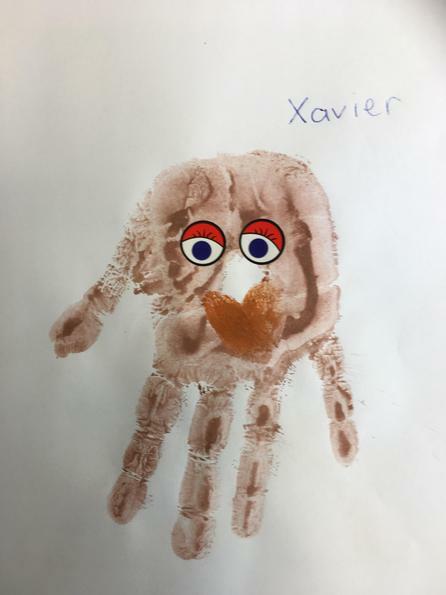 The book told us that Bear was lonely and wanted to know what we looked like. 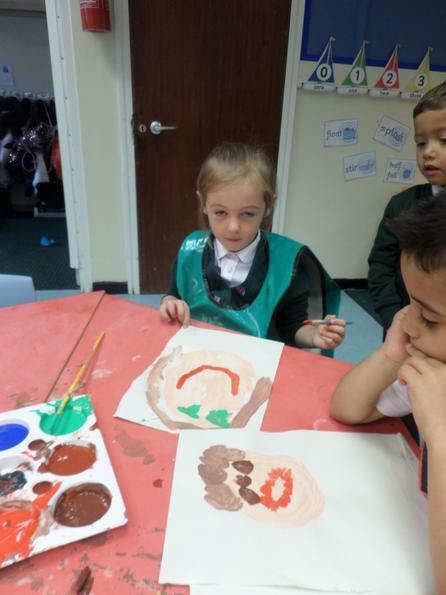 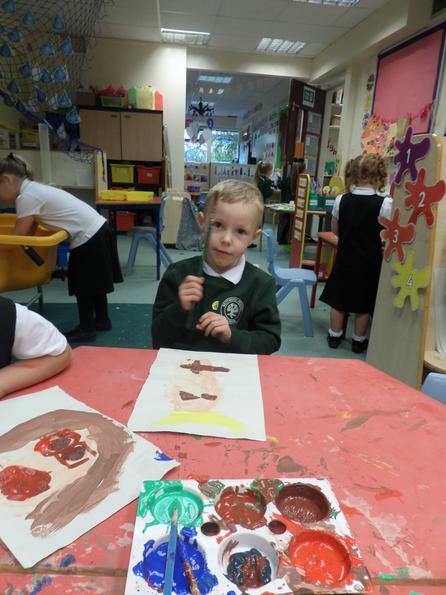 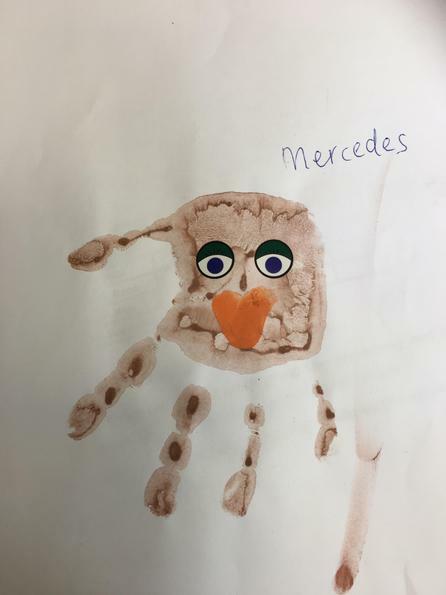 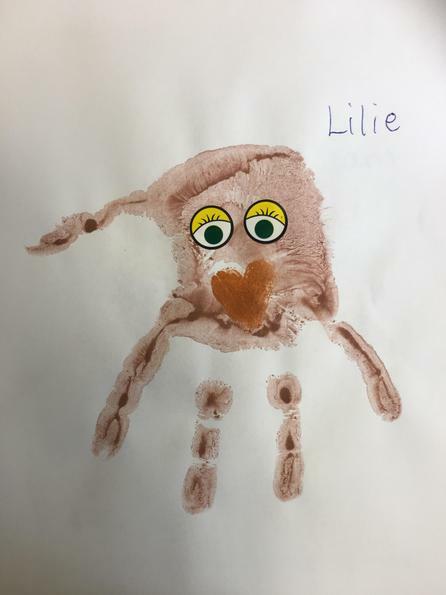 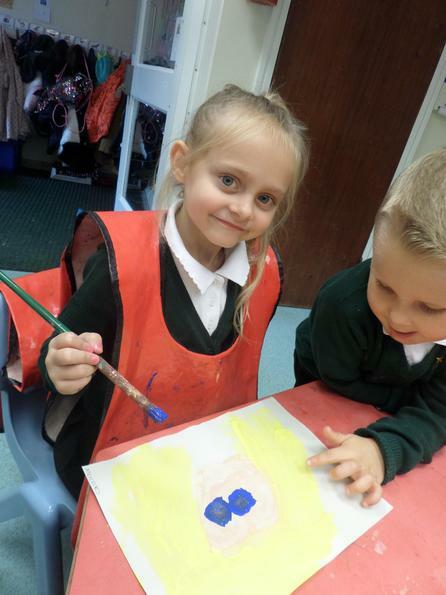 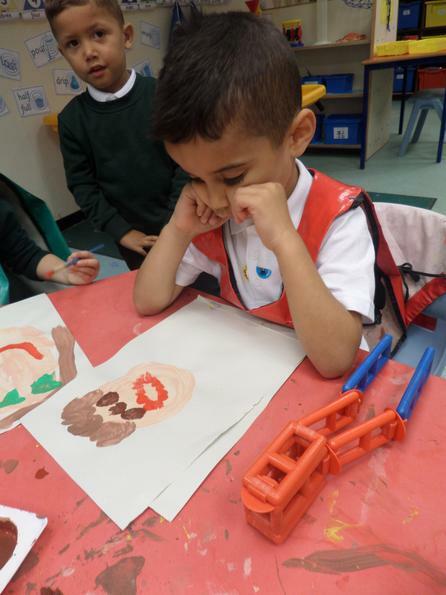 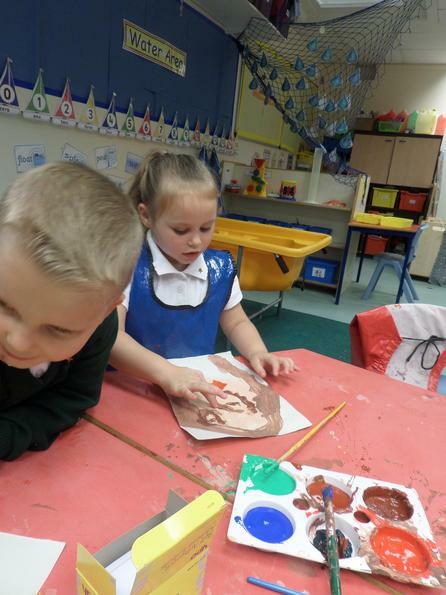 We painted our portraits to show him what we looked like. 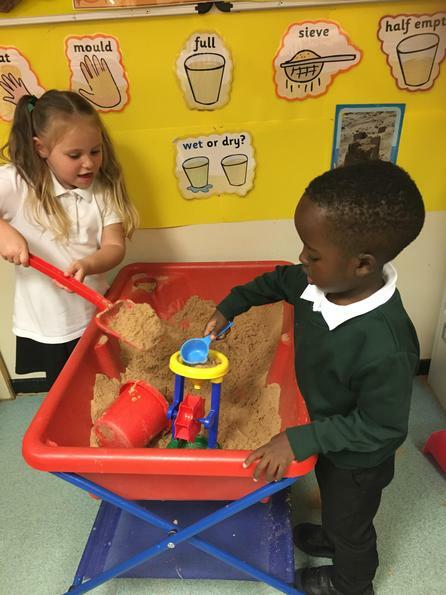 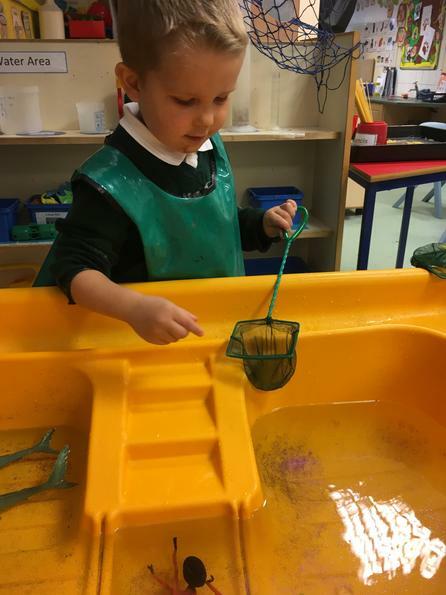 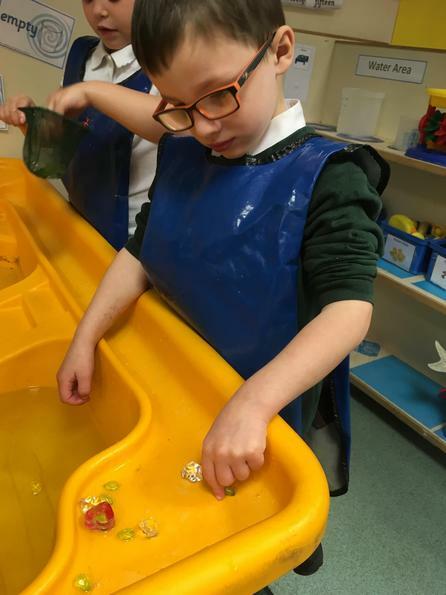 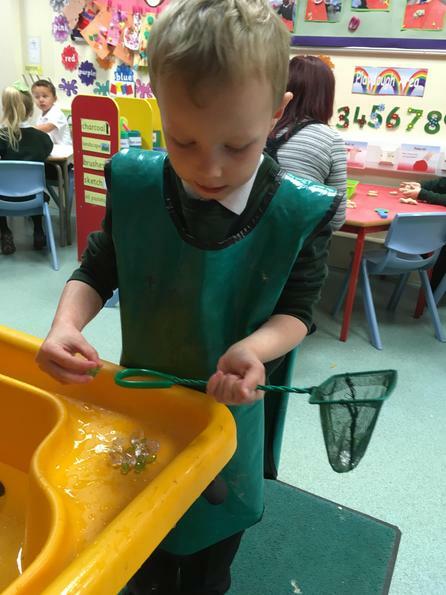 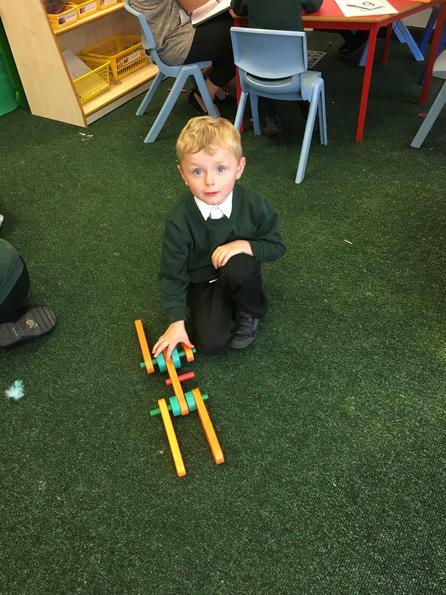 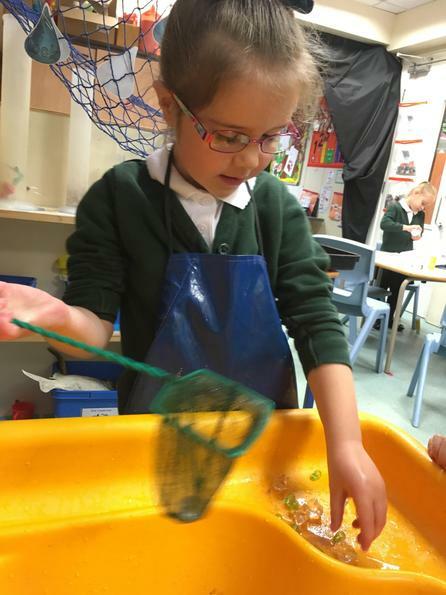 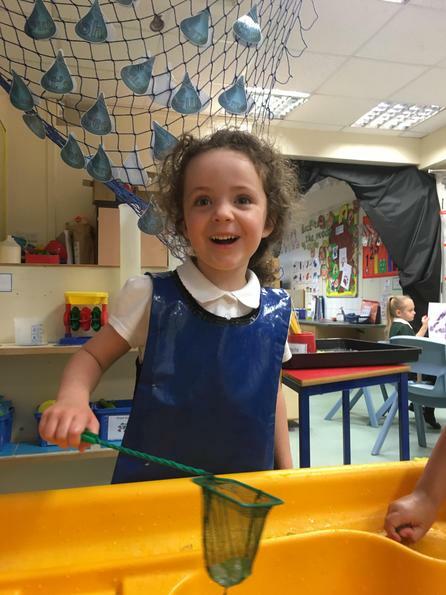 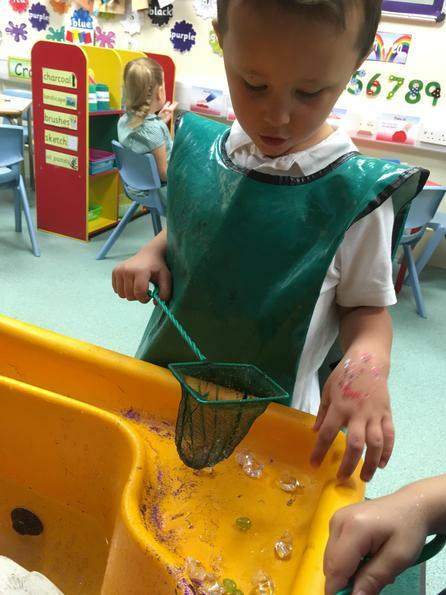 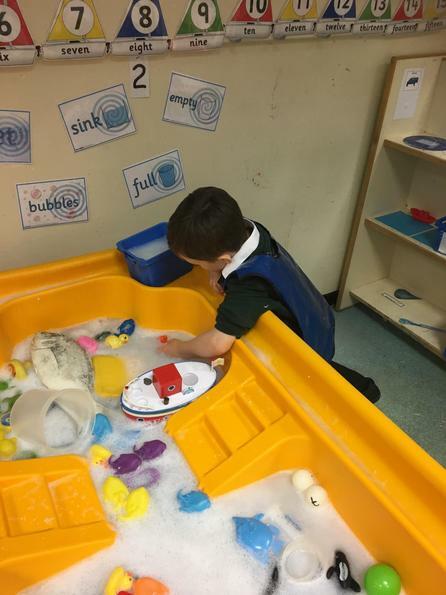 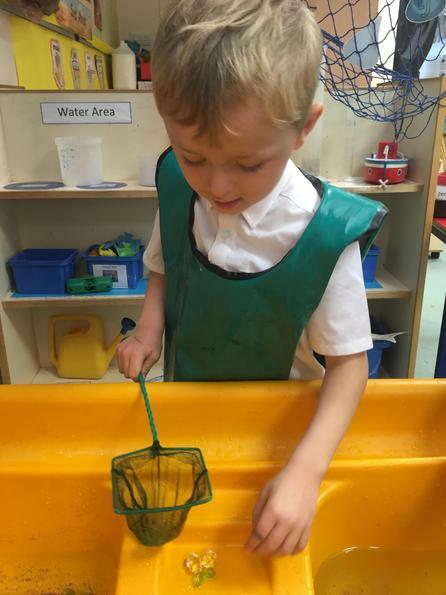 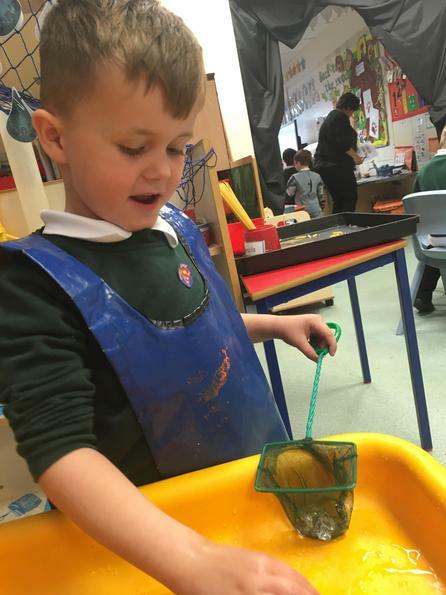 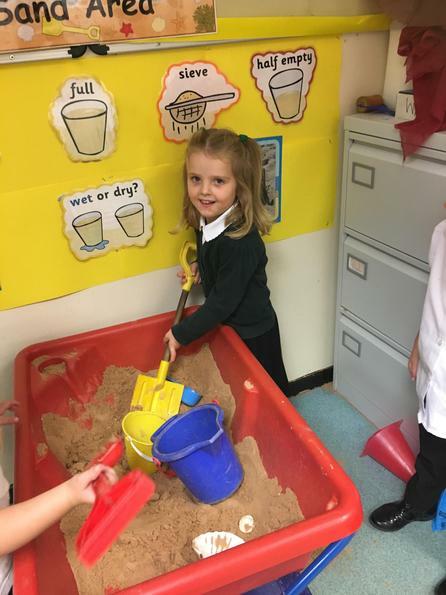 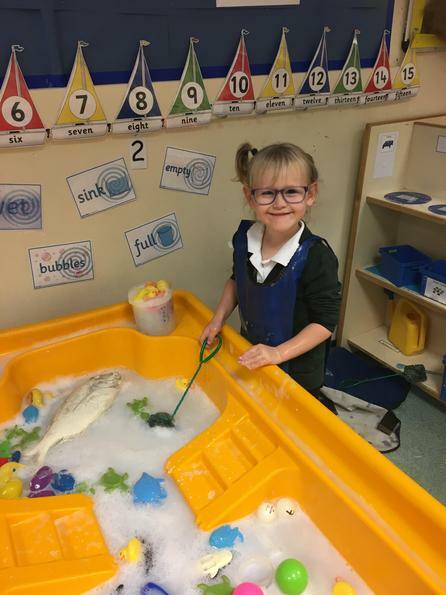 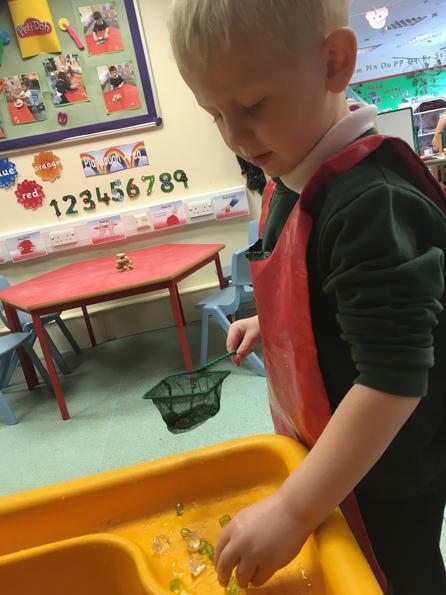 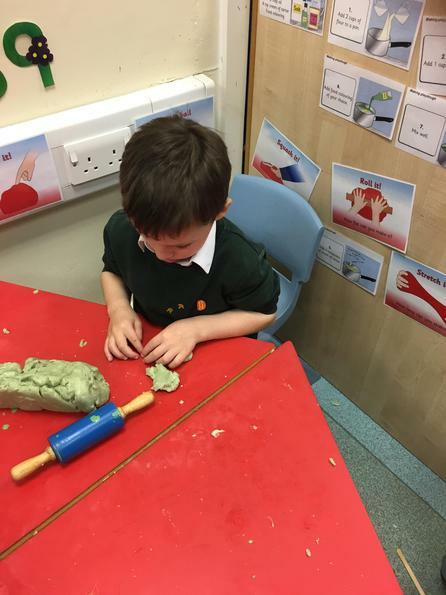 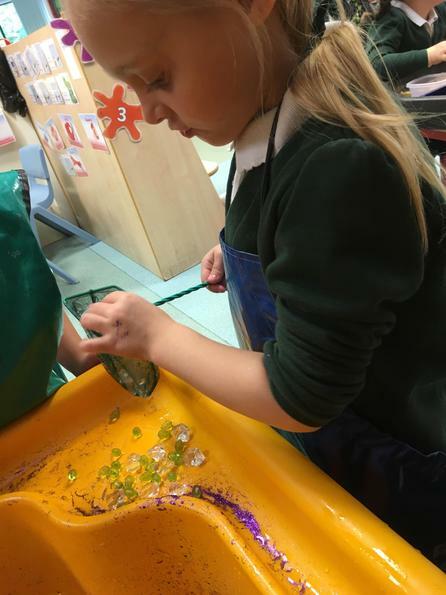 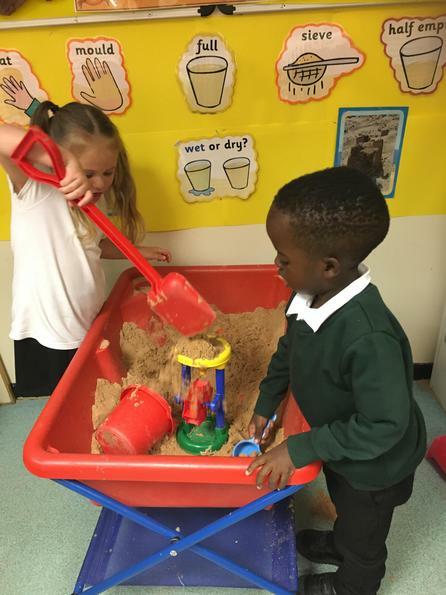 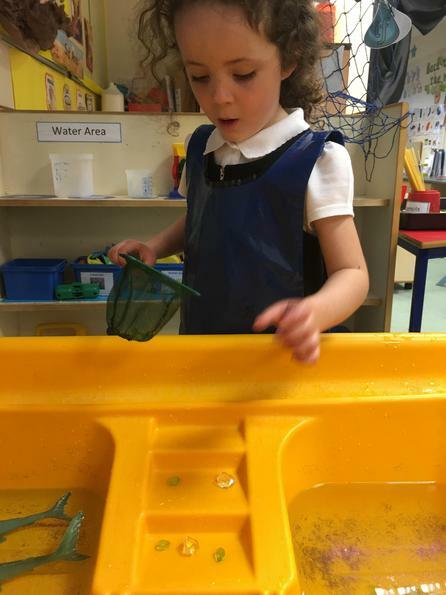 This week we have been concentrating on settling into our new classroom and getting to know each other. 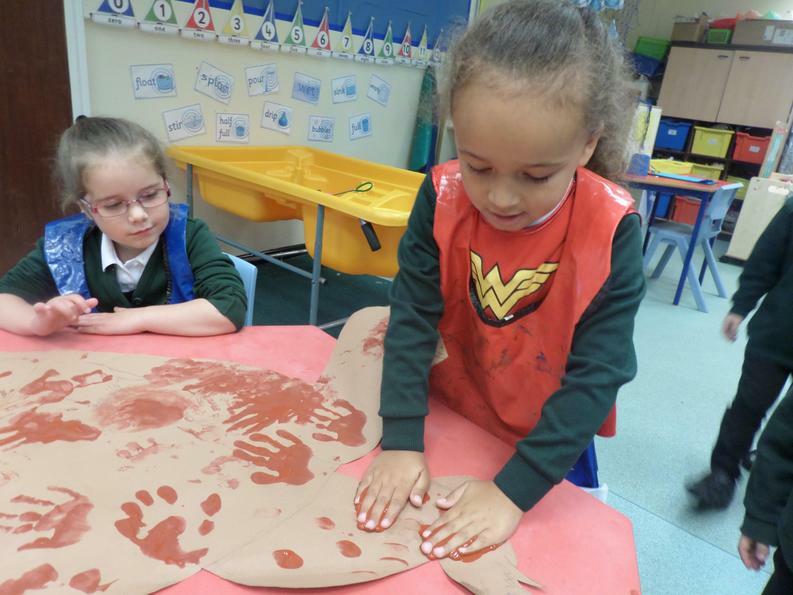 We have enjoyed listening to a variety of different stories about bears. 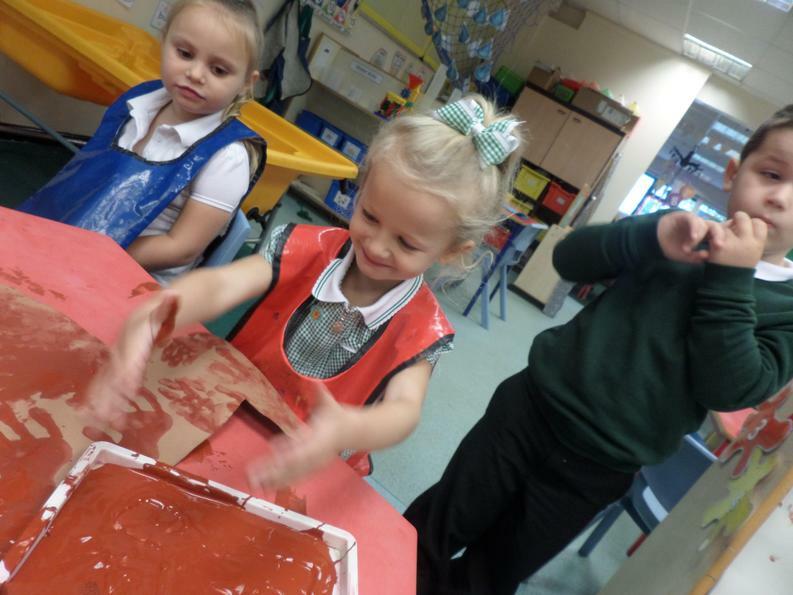 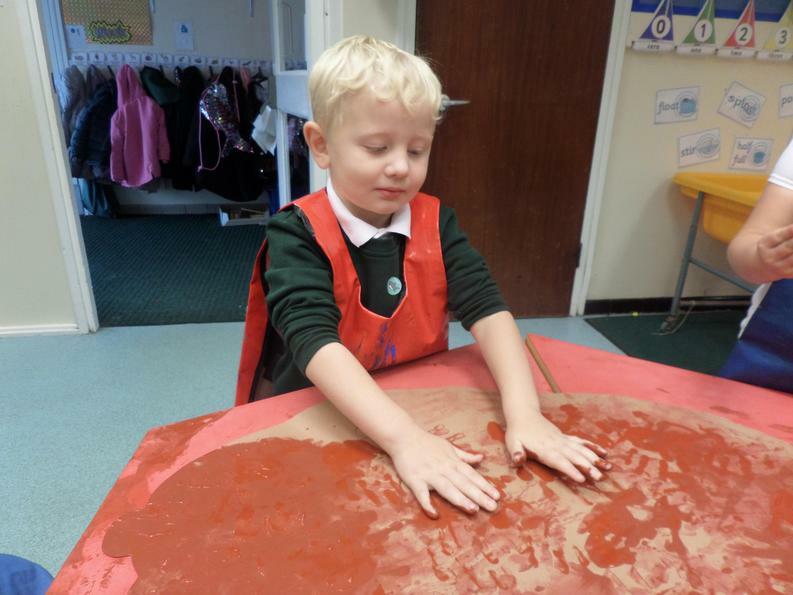 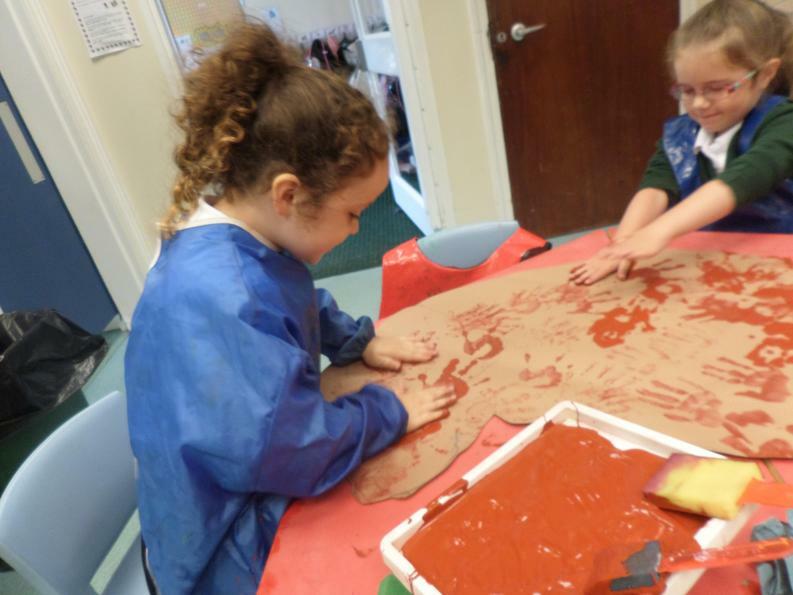 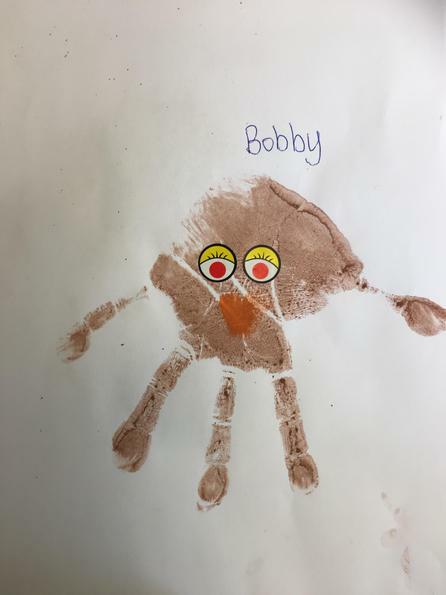 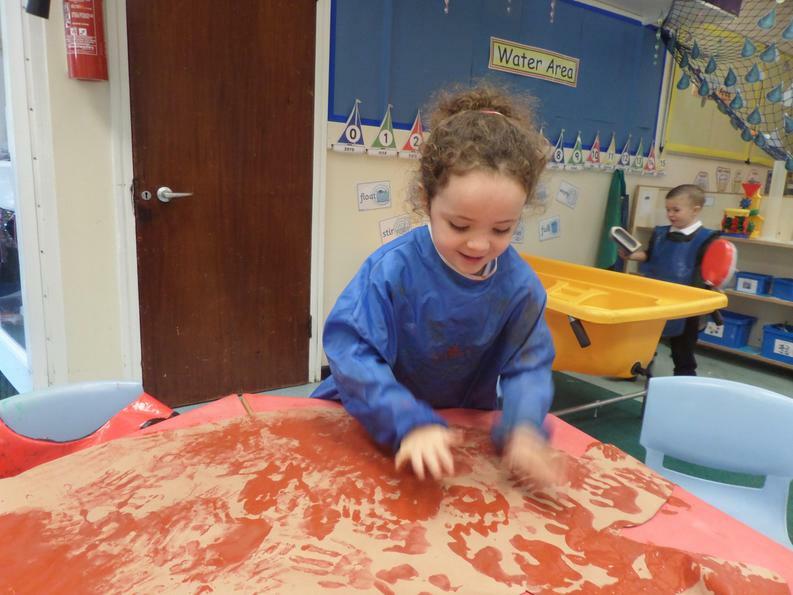 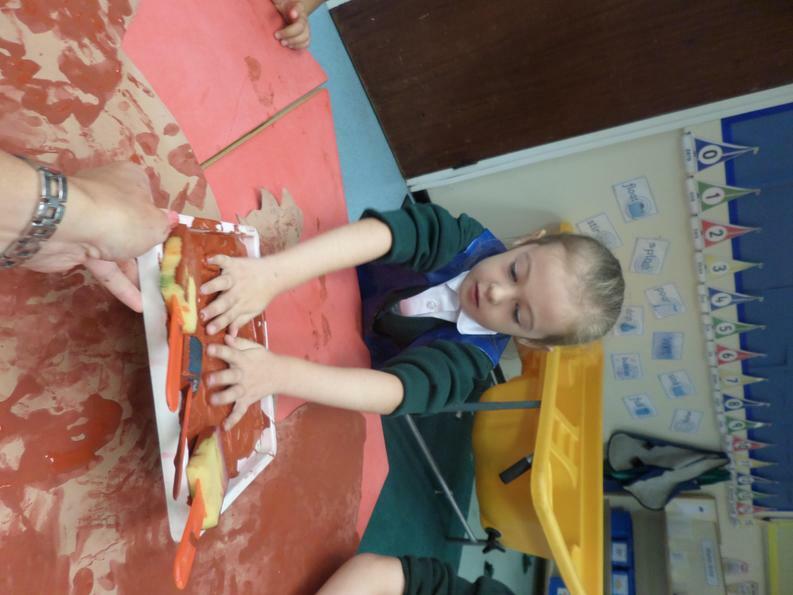 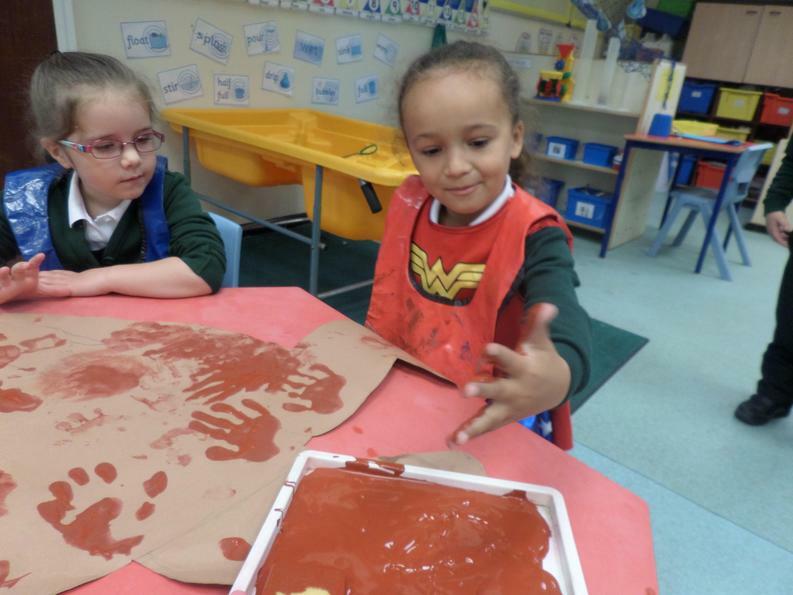 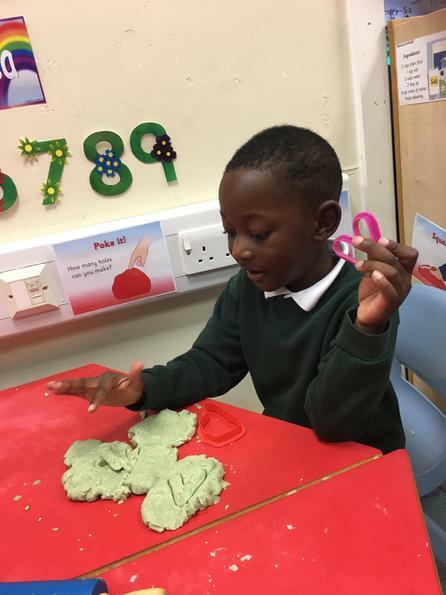 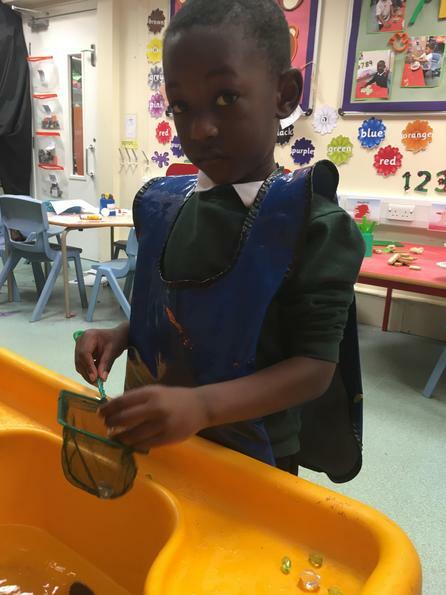 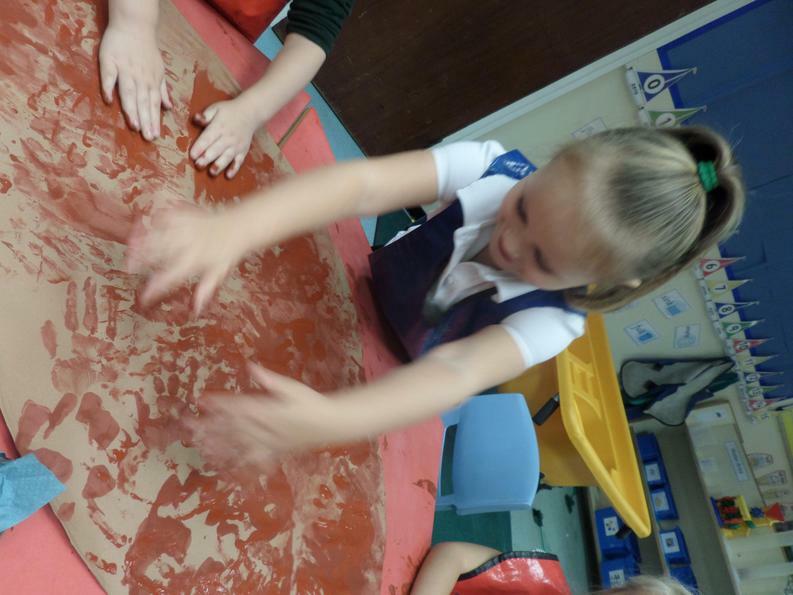 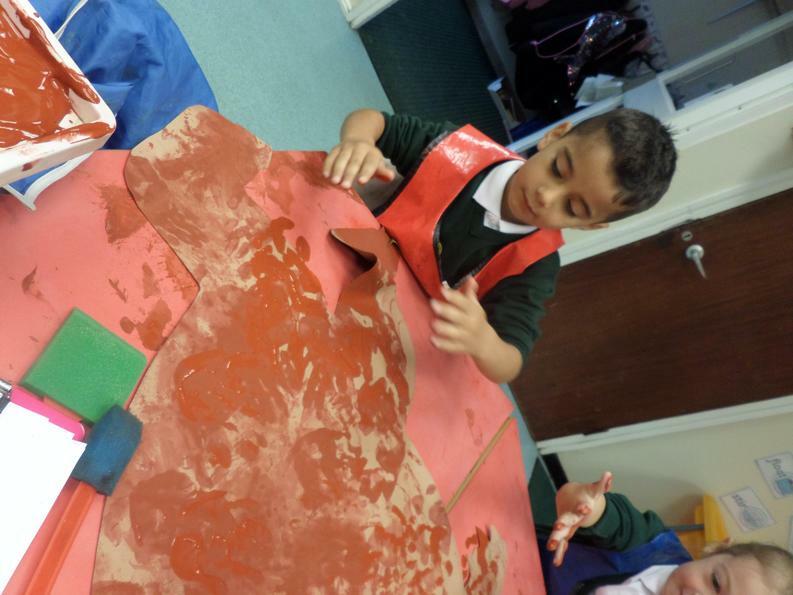 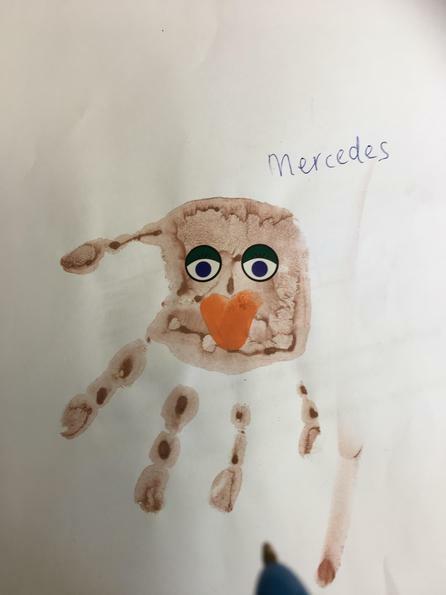 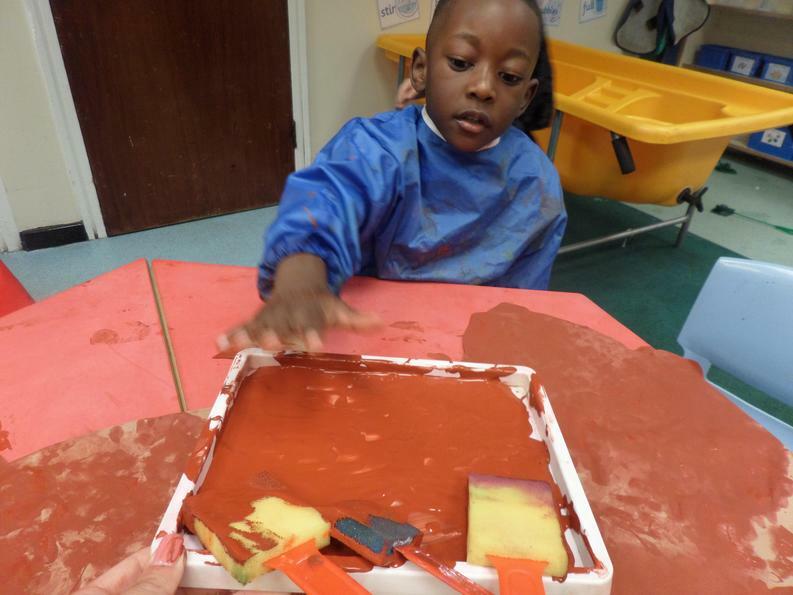 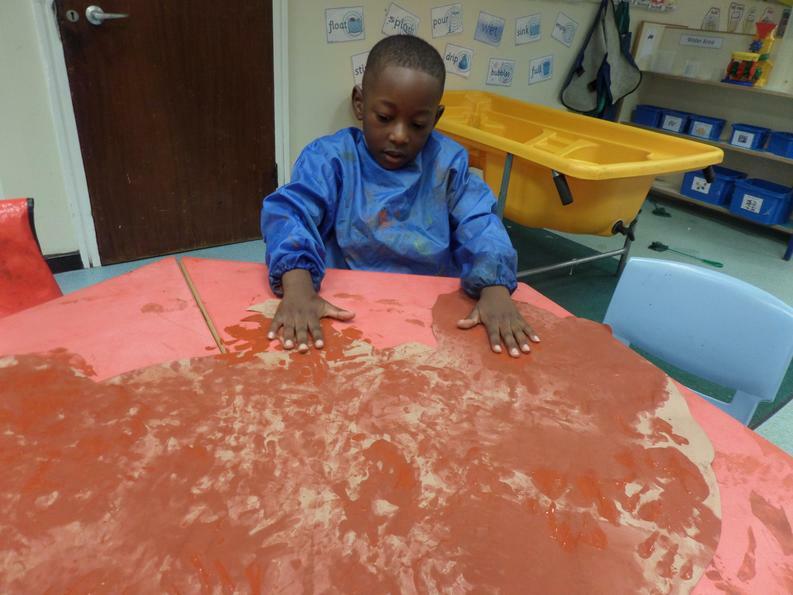 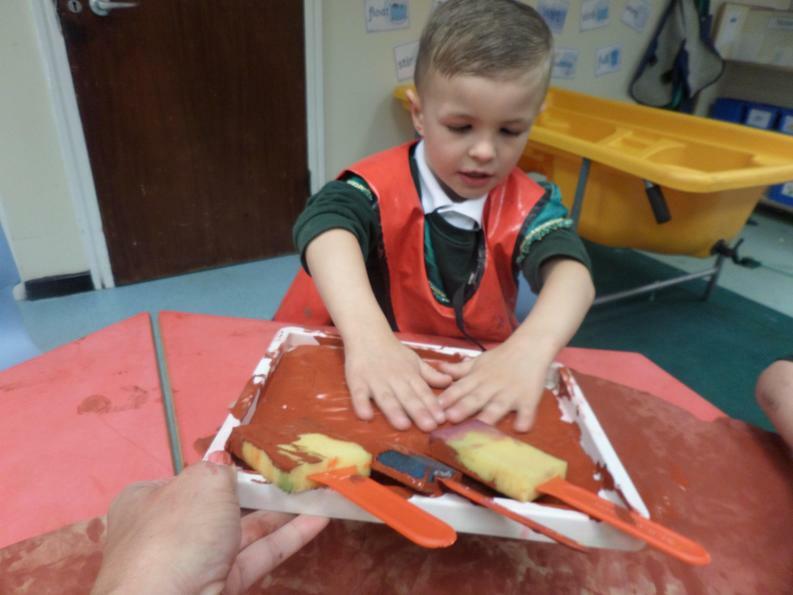 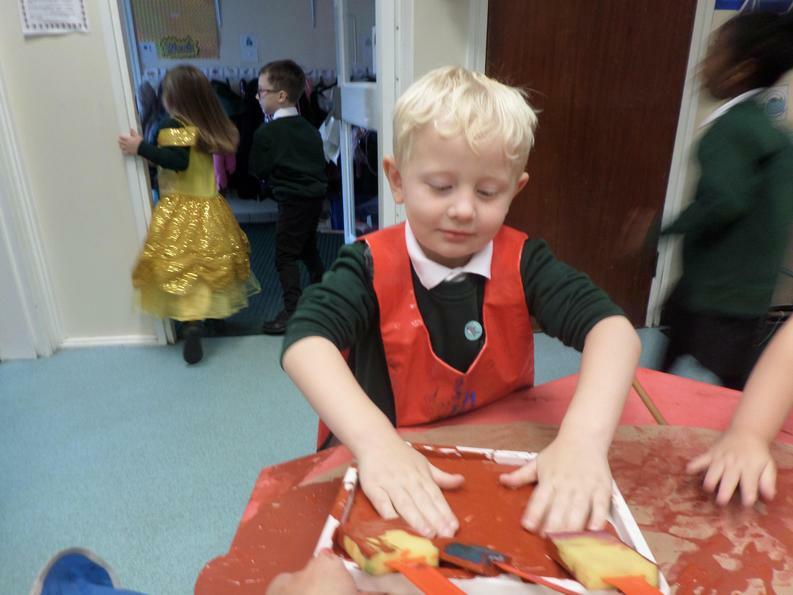 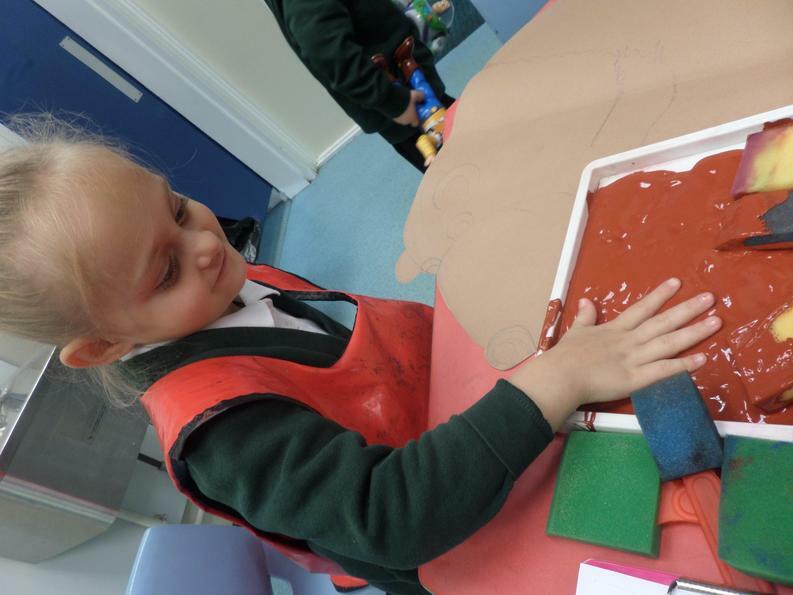 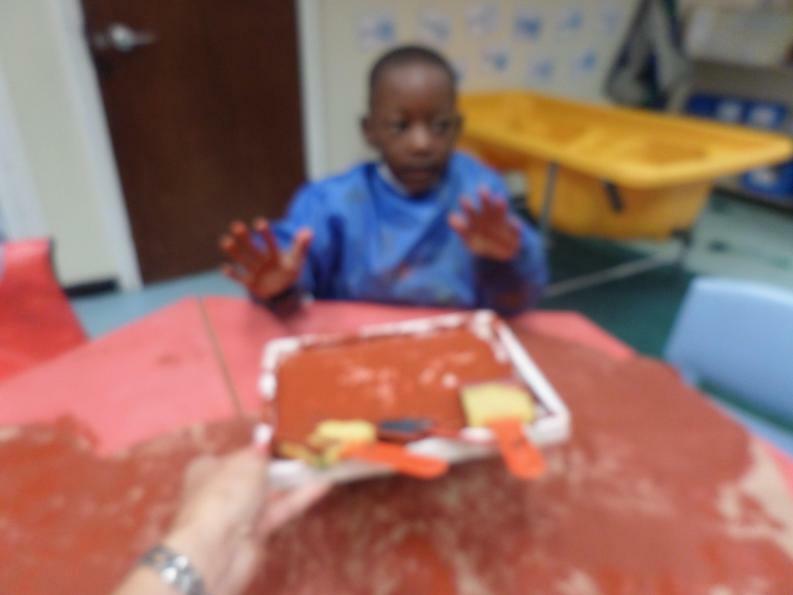 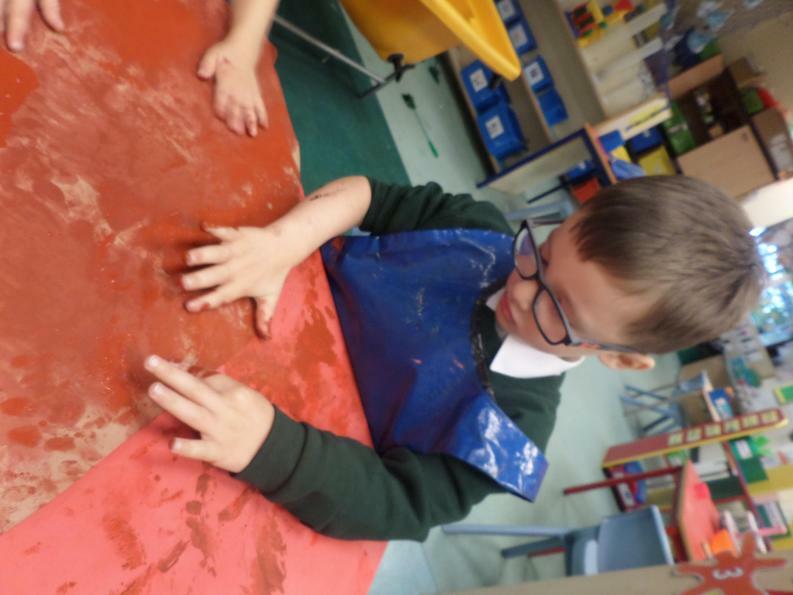 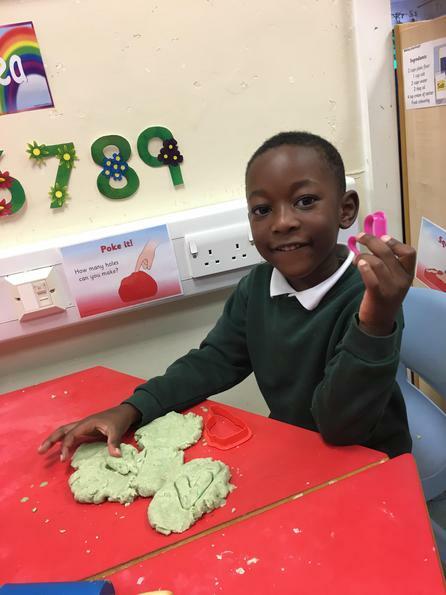 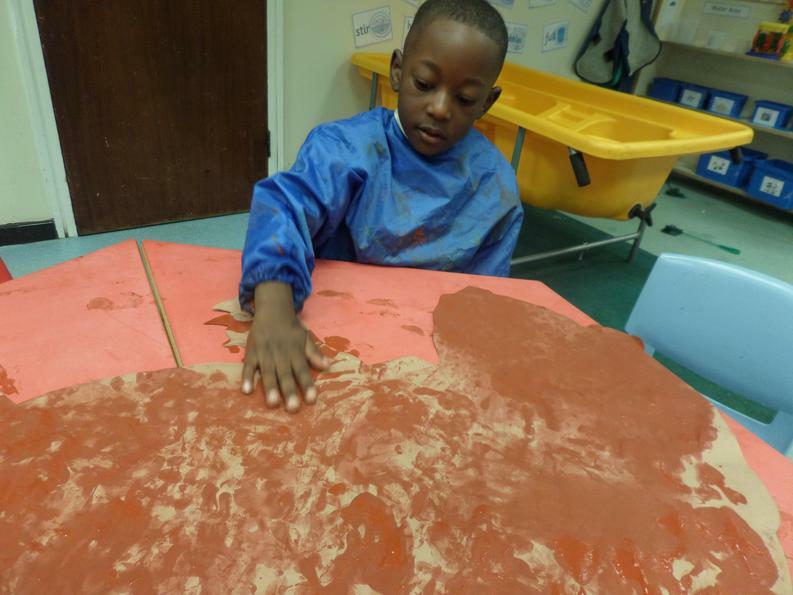 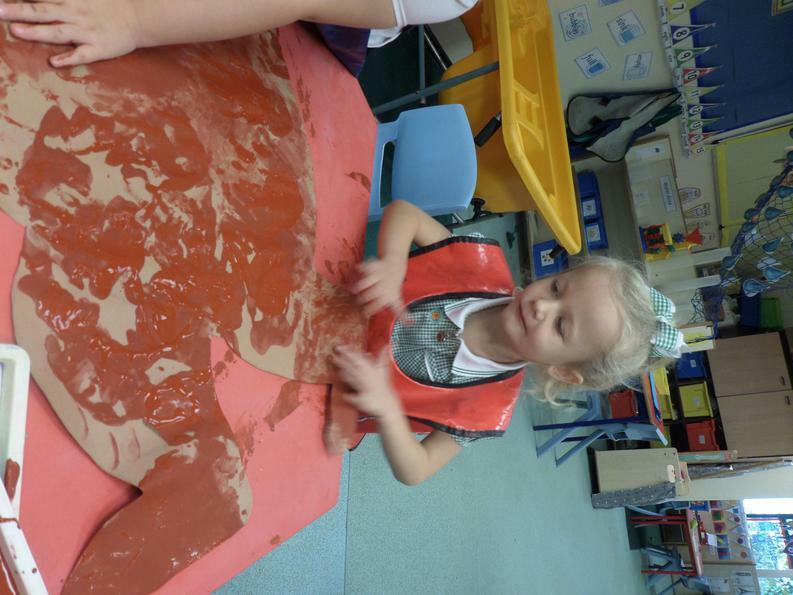 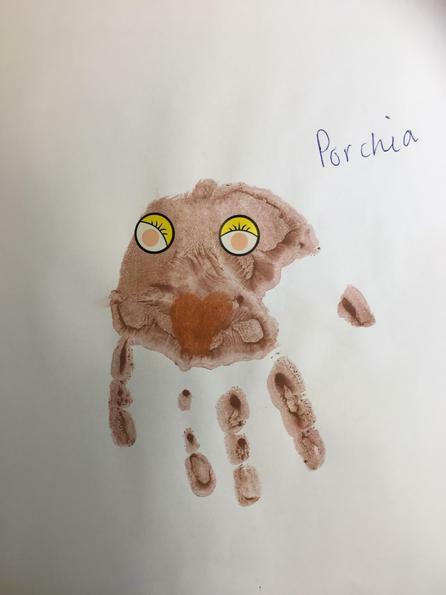 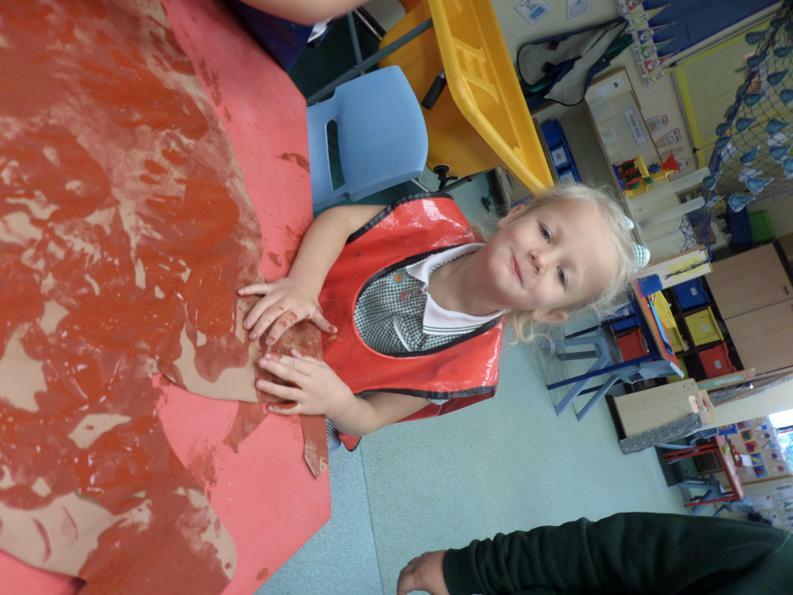 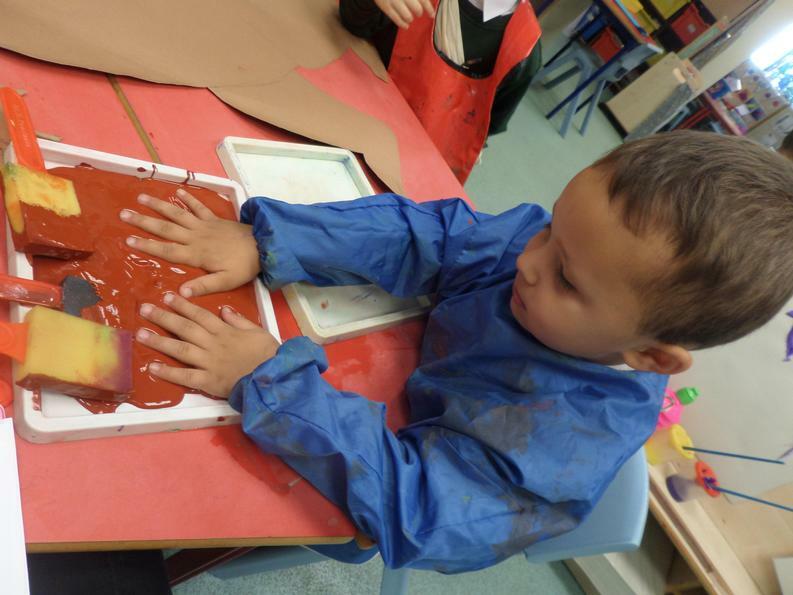 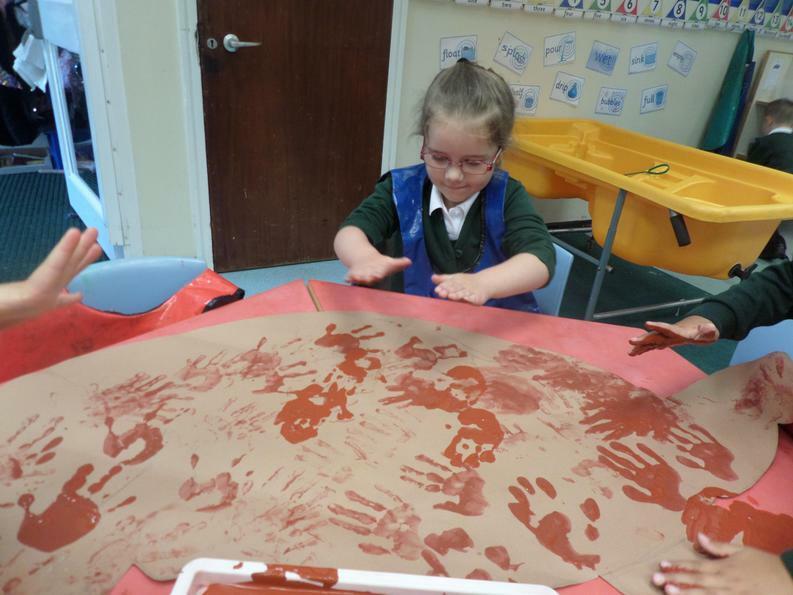 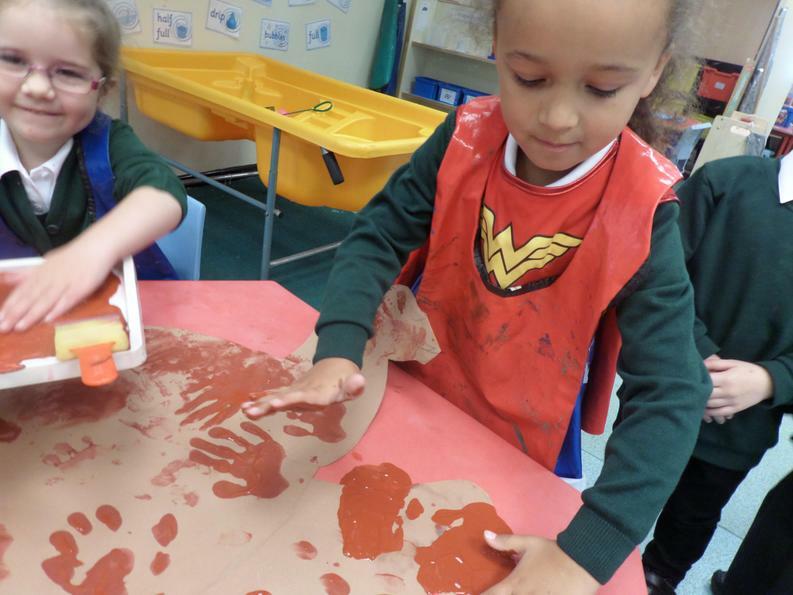 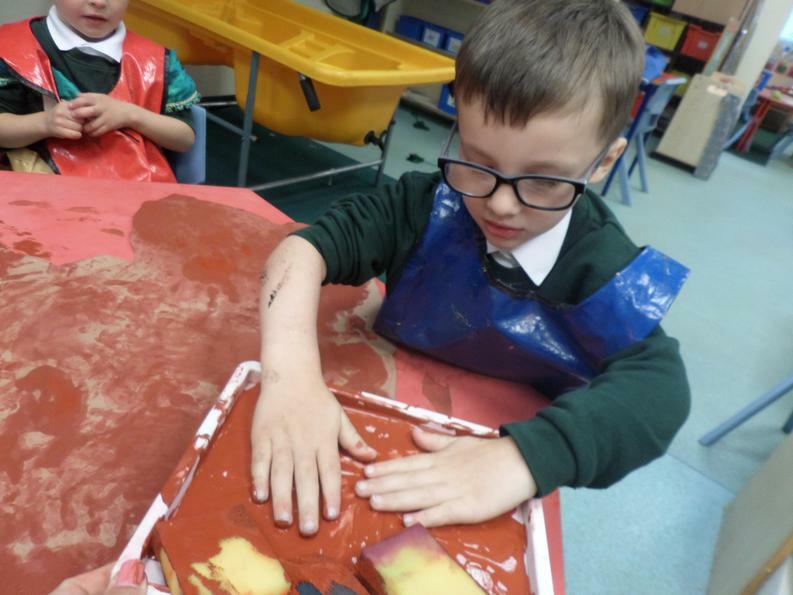 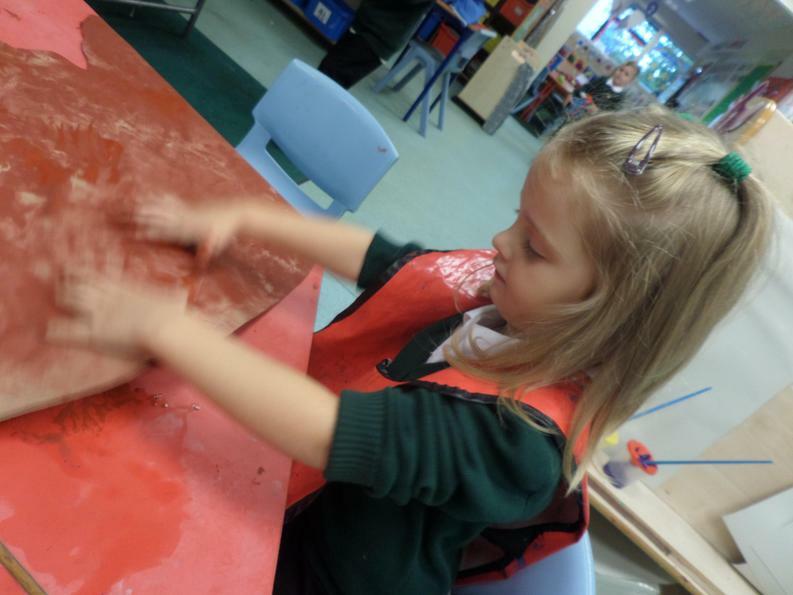 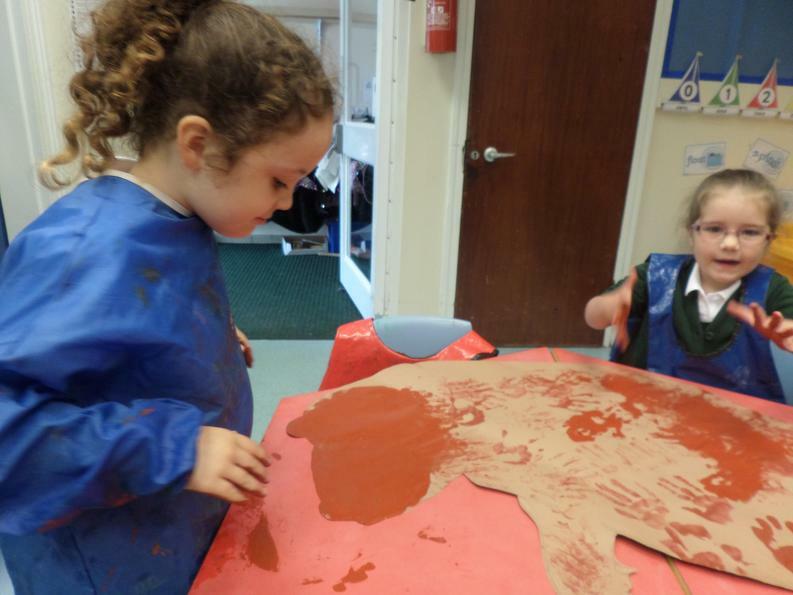 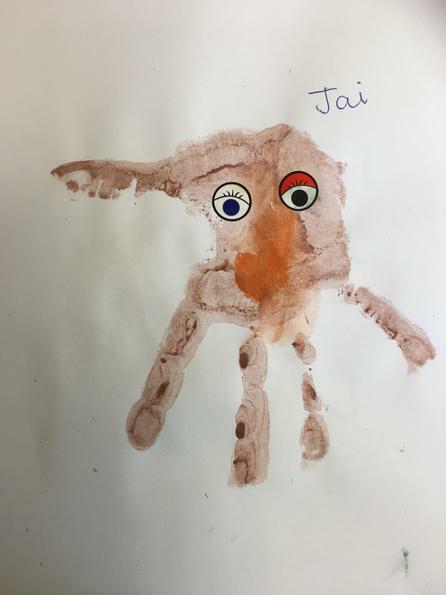 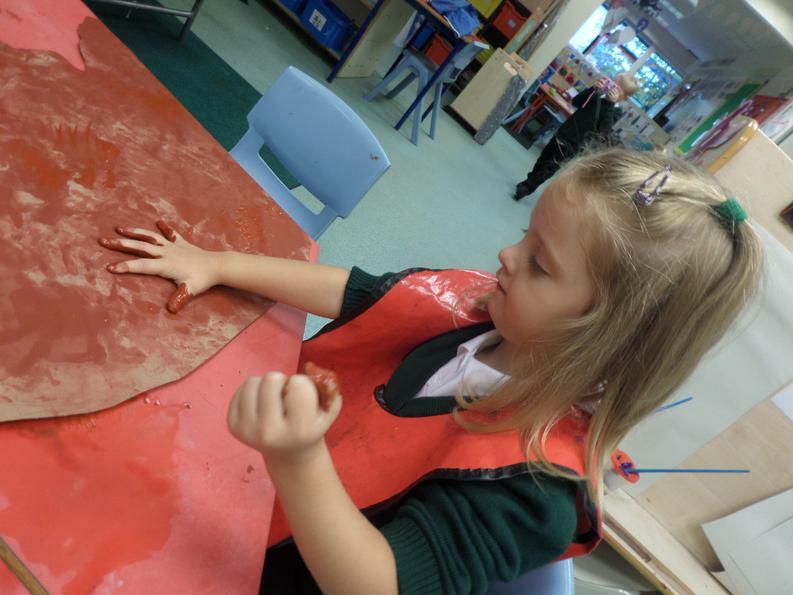 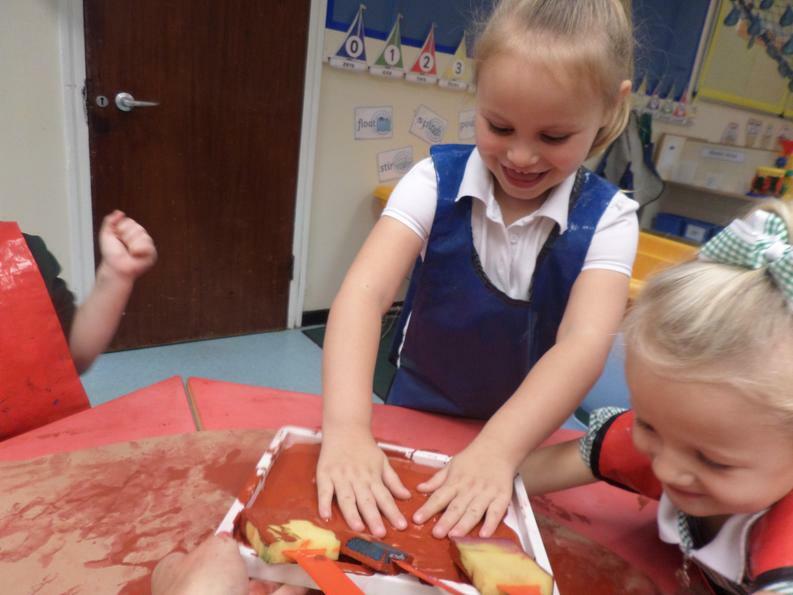 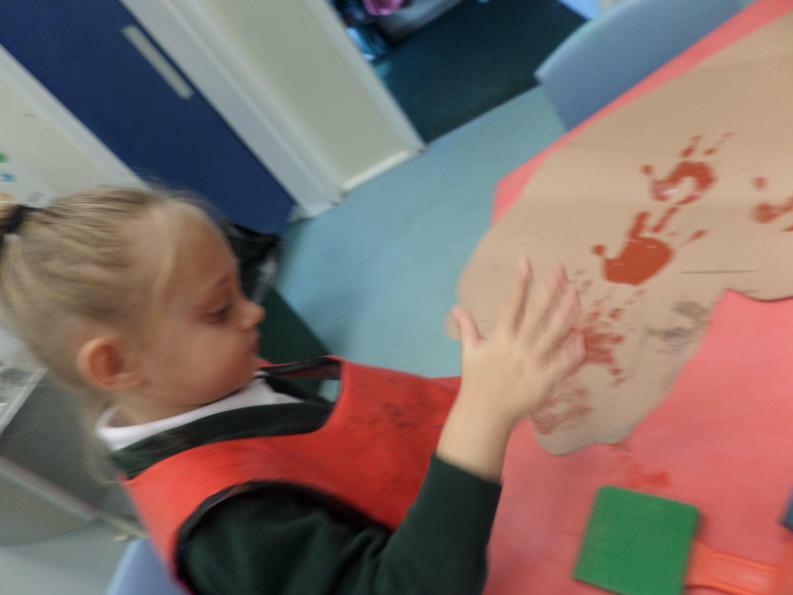 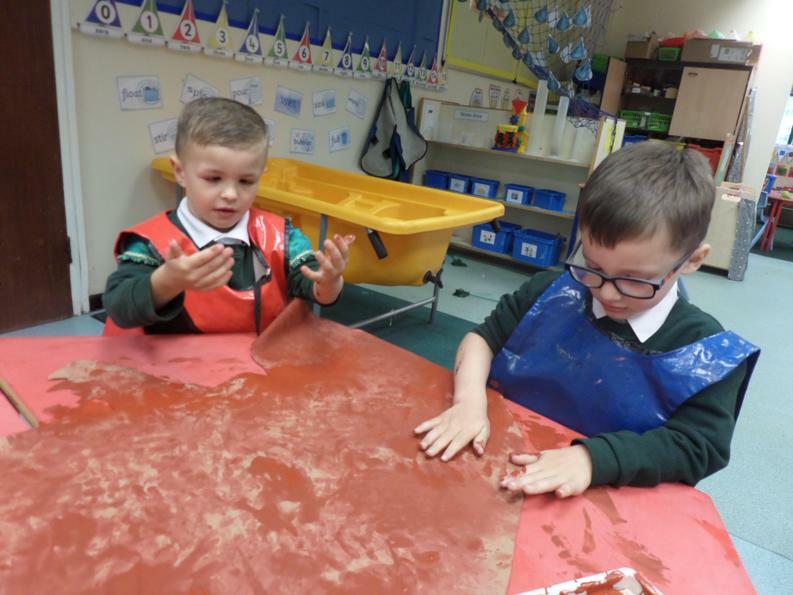 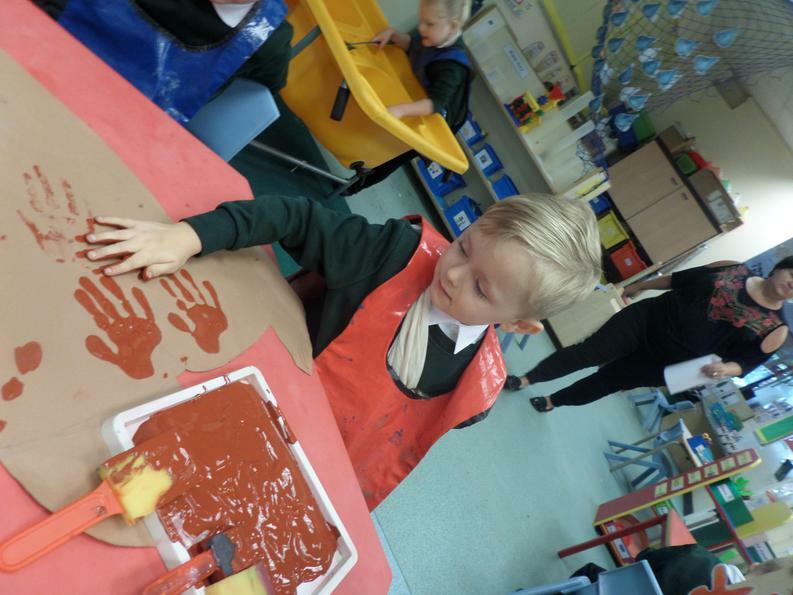 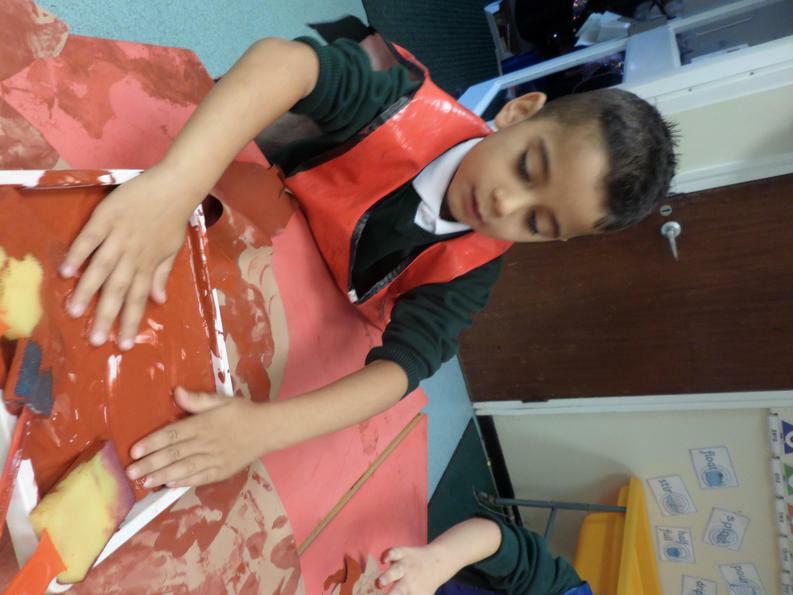 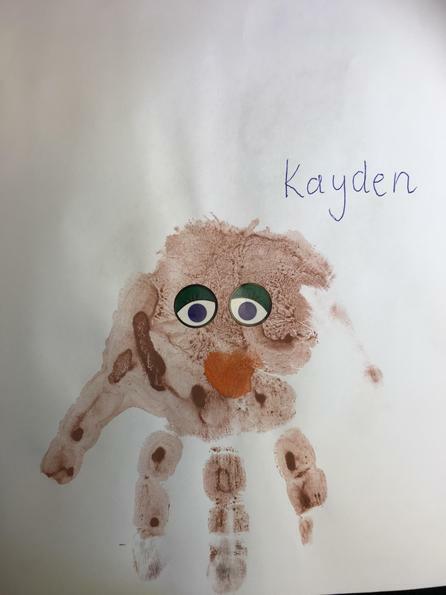 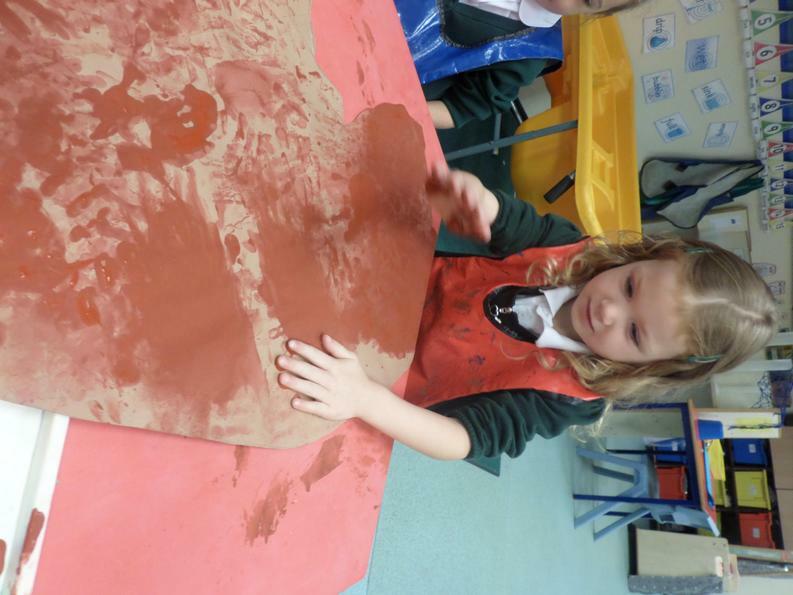 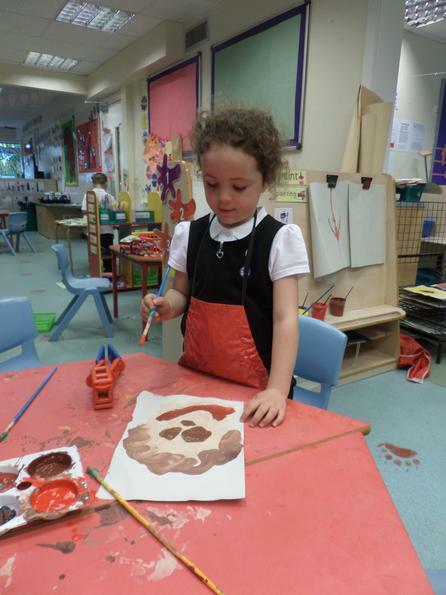 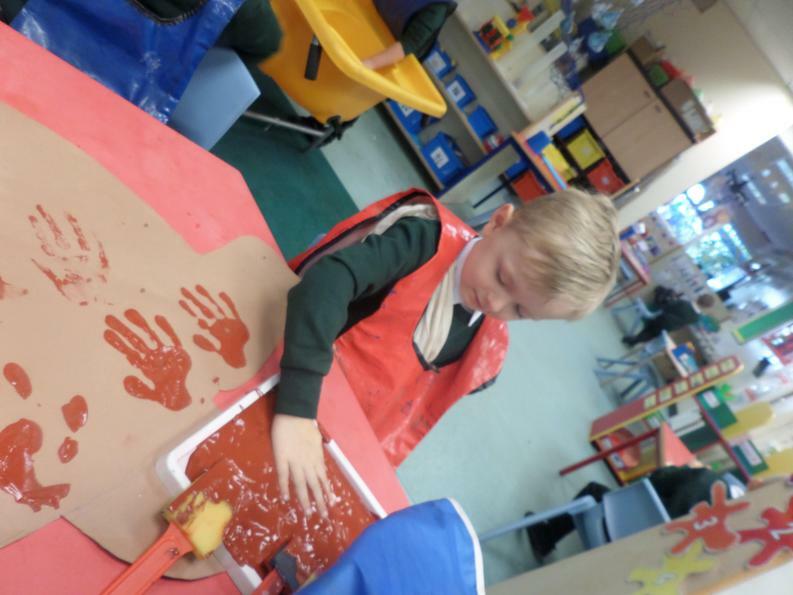 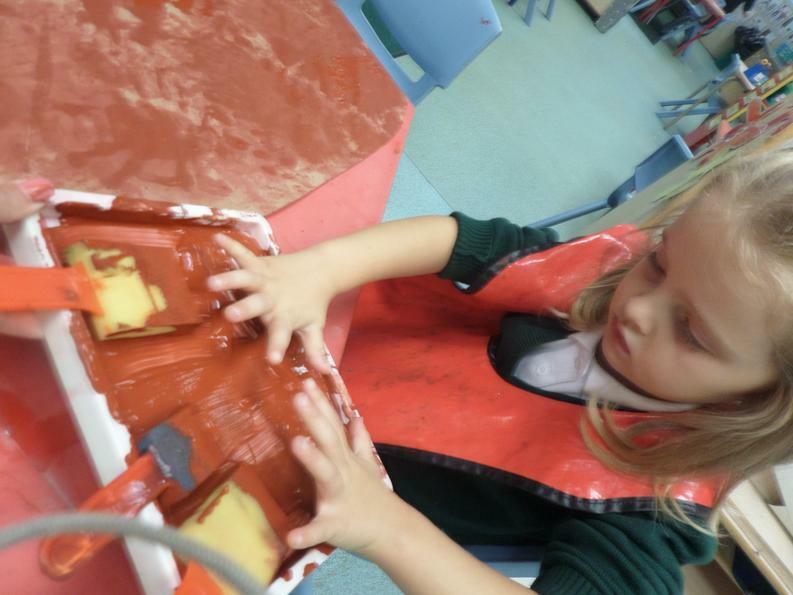 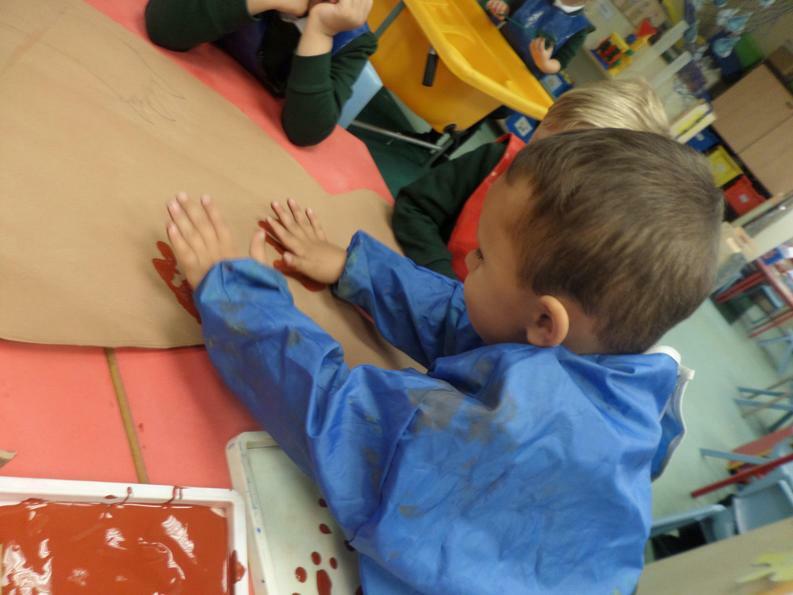 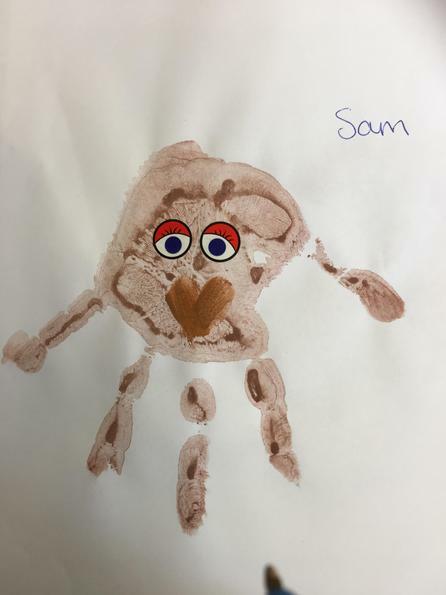 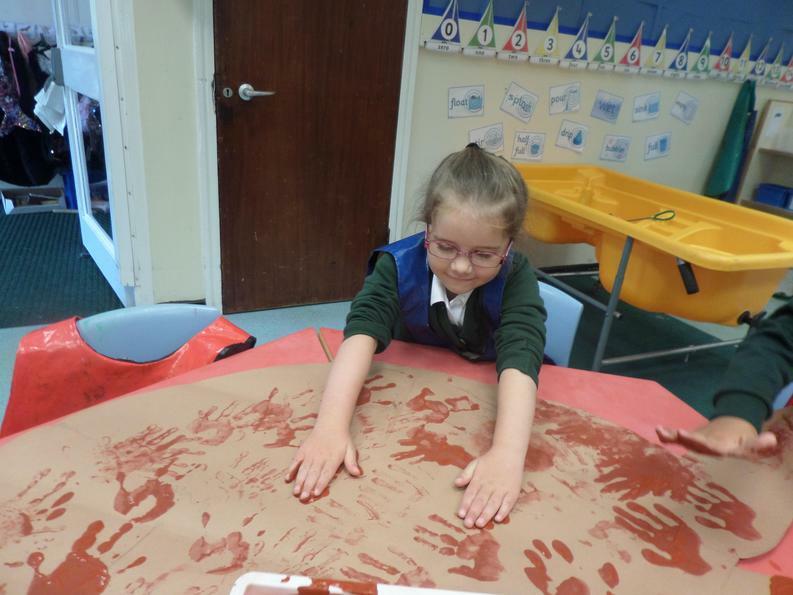 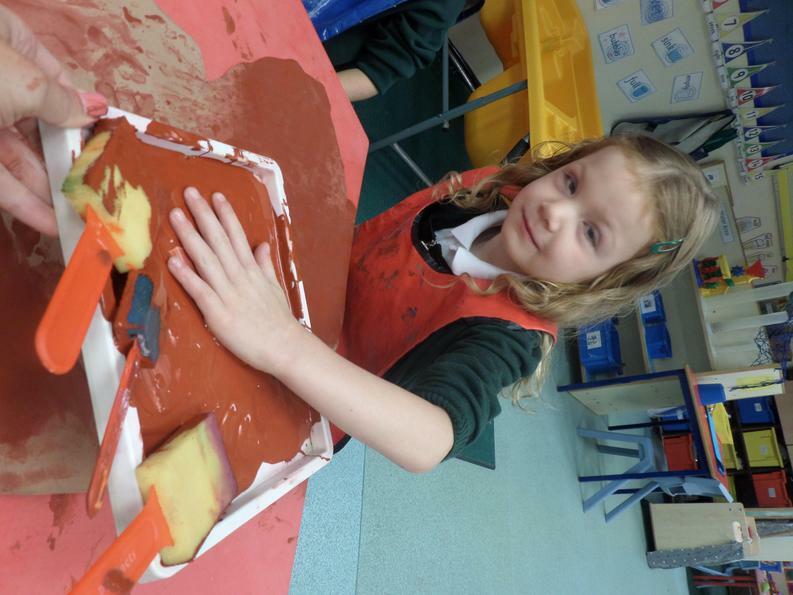 To end the week we decorated a huge bear using our 'muddy' (brown paint) hand prints. 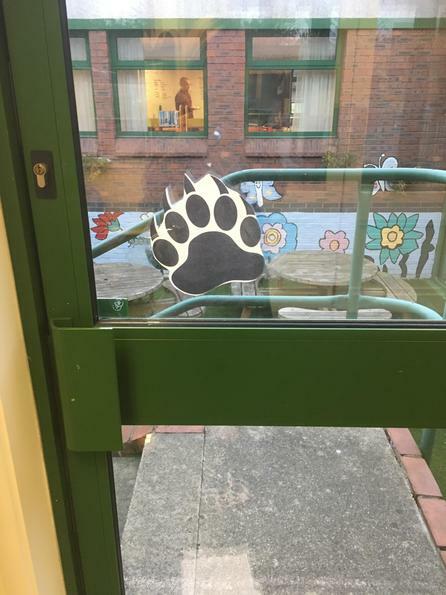 We have put our bear onto the display board, he looks very real. 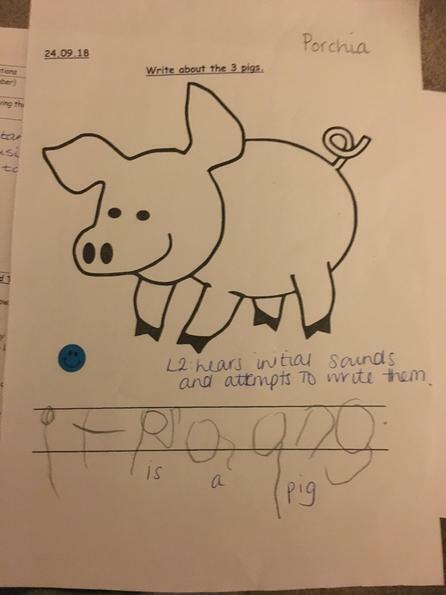 Could he possibly come to life and jump off the wall? 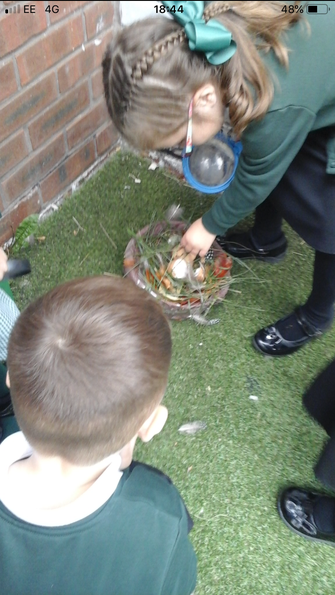 We will have to wait and see!